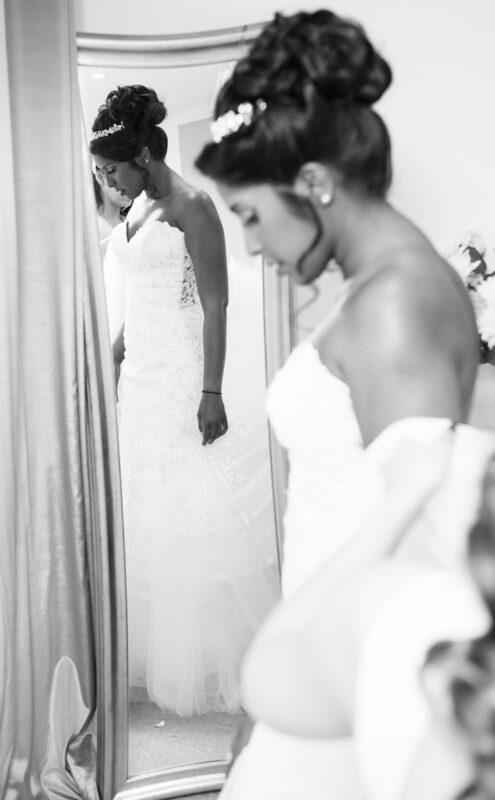 One of the most exciting moments for me as a wedding photographer is when I get to the event and see the bride. 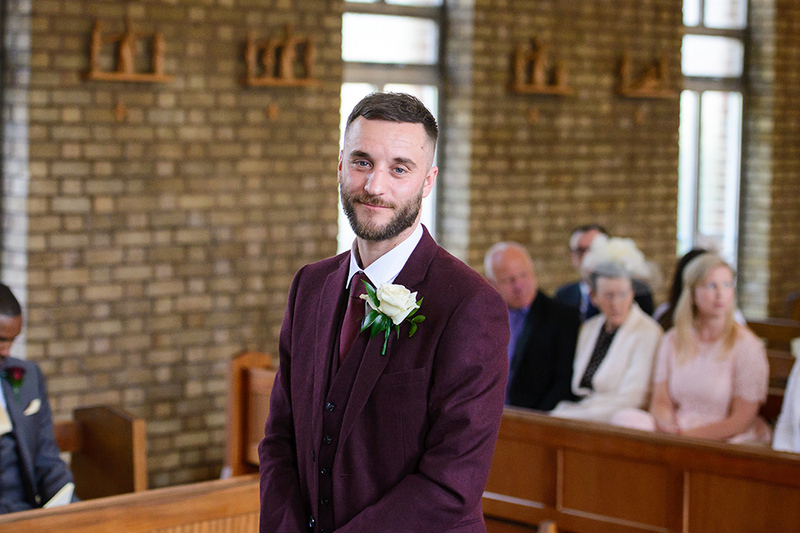 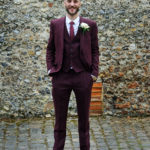 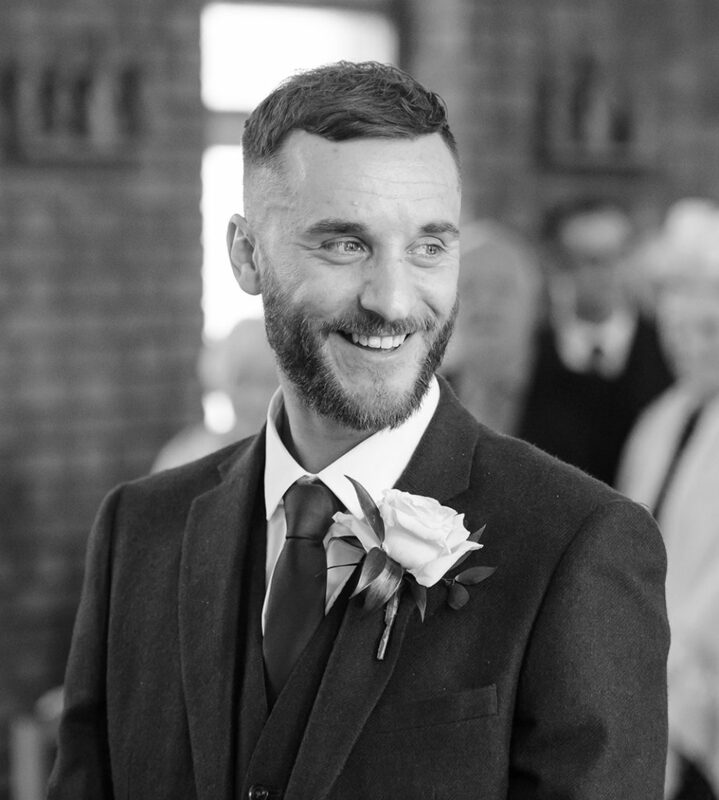 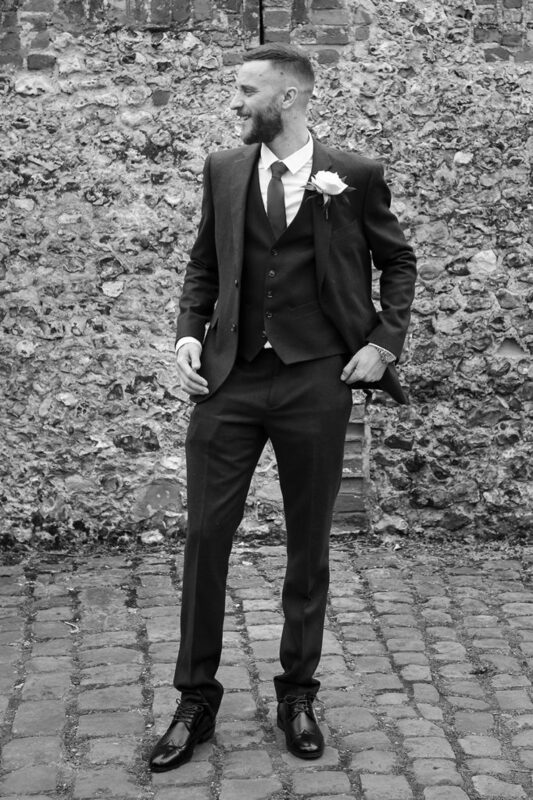 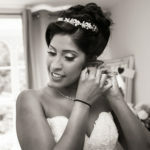 It’s the moment when I start the coverage of the wedding day, take the pulse and start getting creative.. 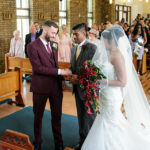 Both myself and George love being part of such special moment in someone’s life and we both understand how important this is. 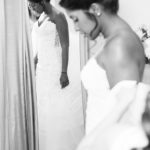 That’s why, we evaluate every moment of the day, pay attention to every detail and we are always looking for that “something” which needs to be captured. 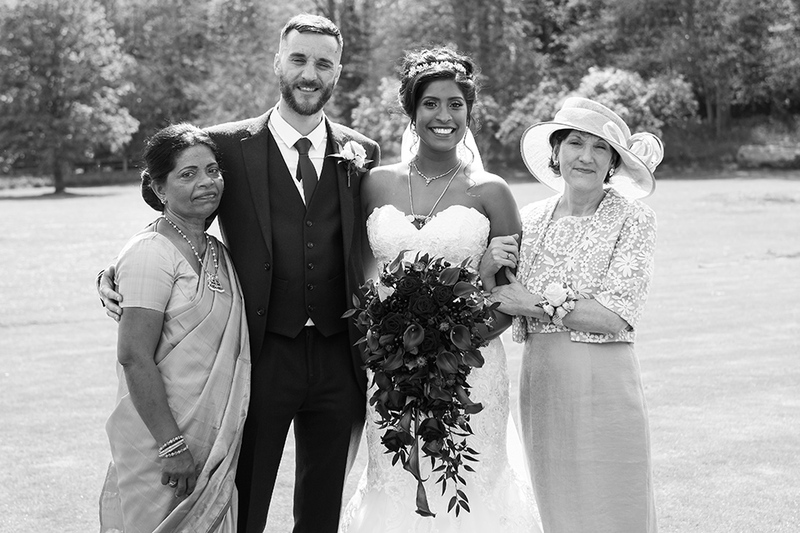 With Brinda and Kim was no different. 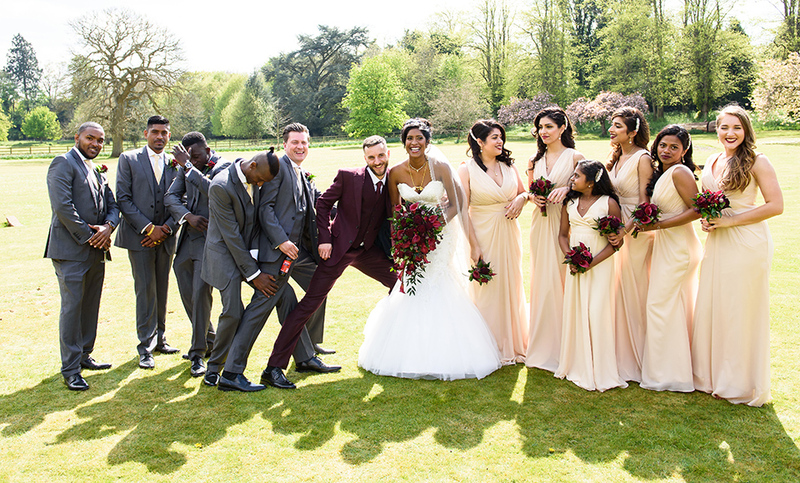 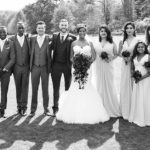 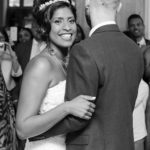 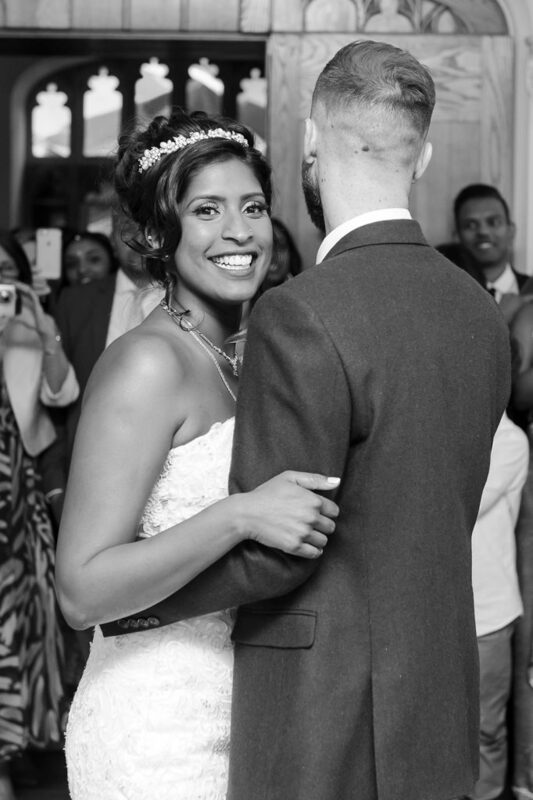 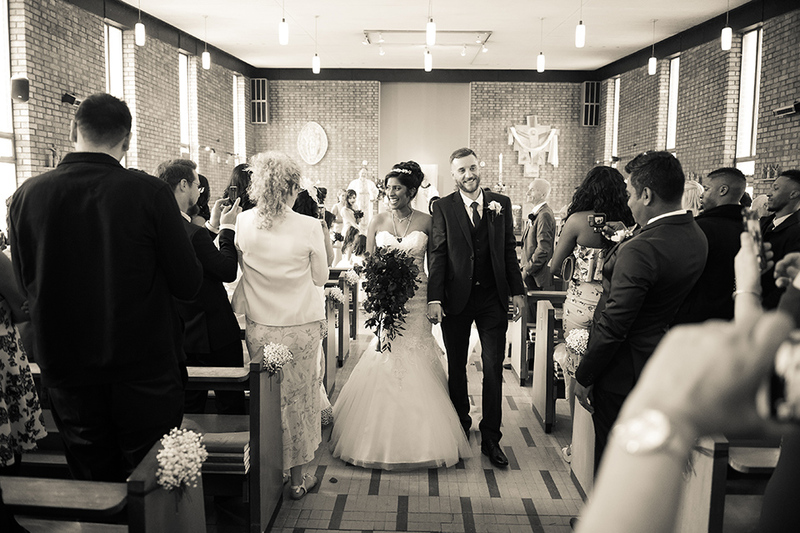 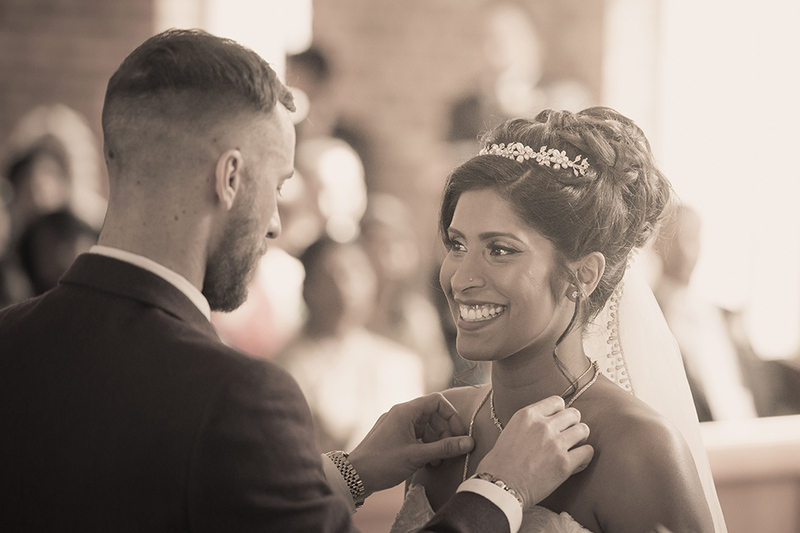 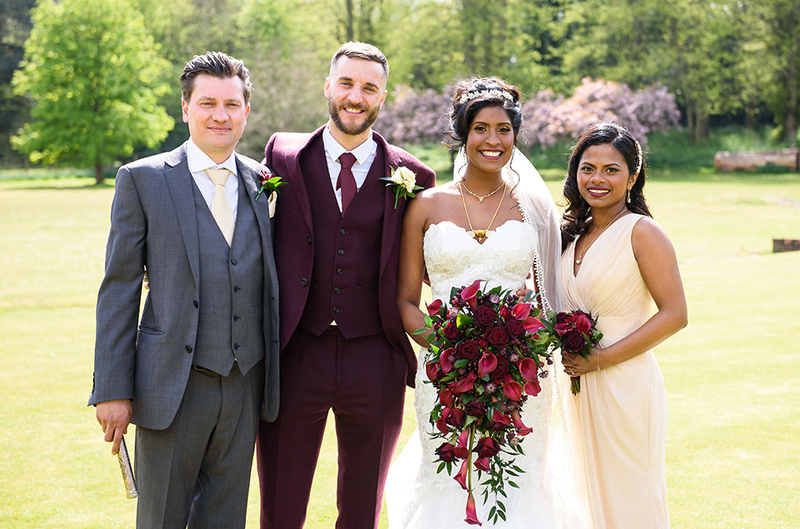 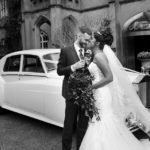 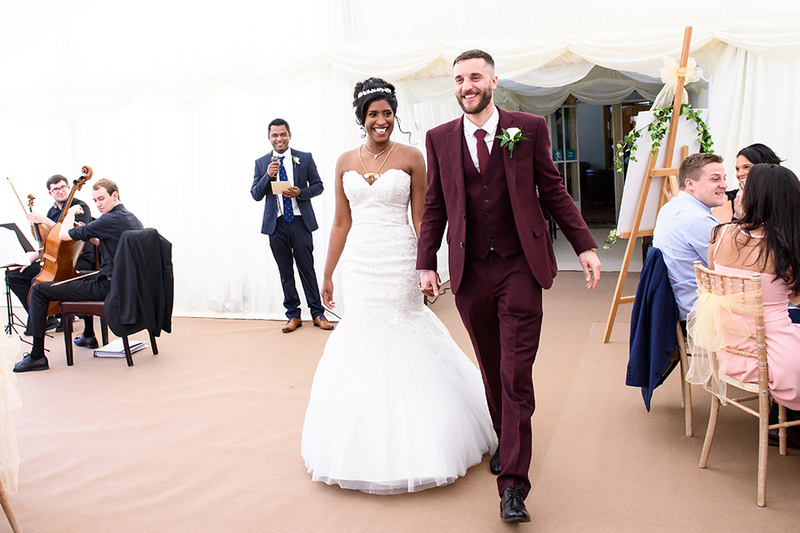 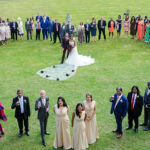 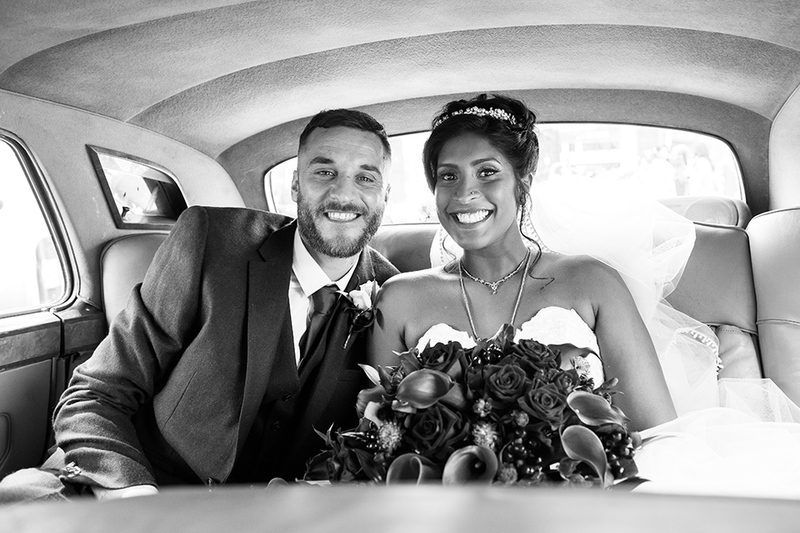 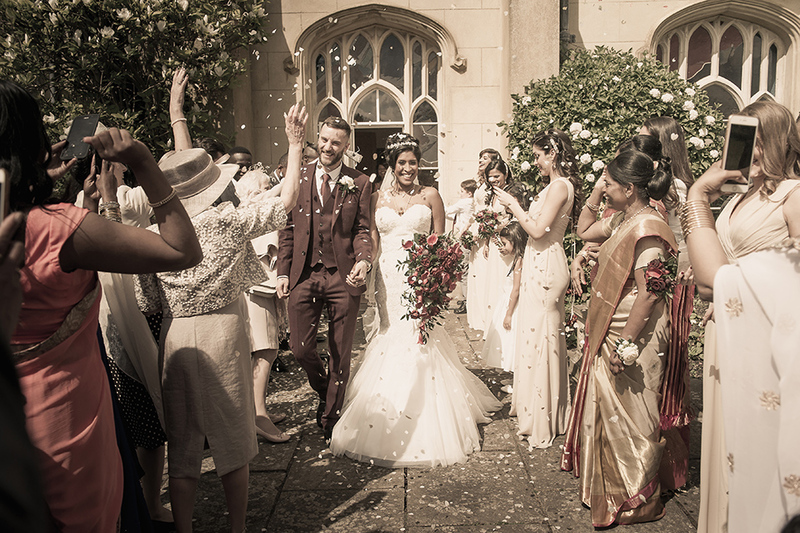 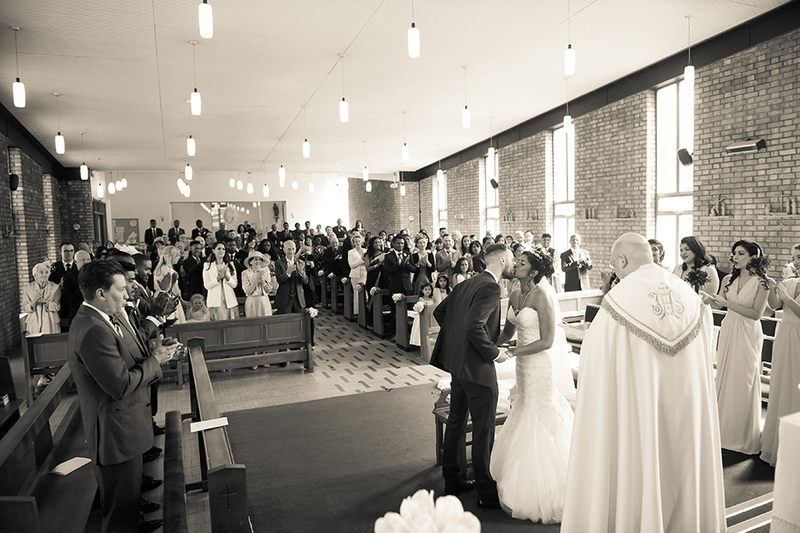 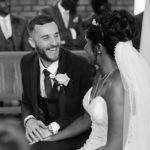 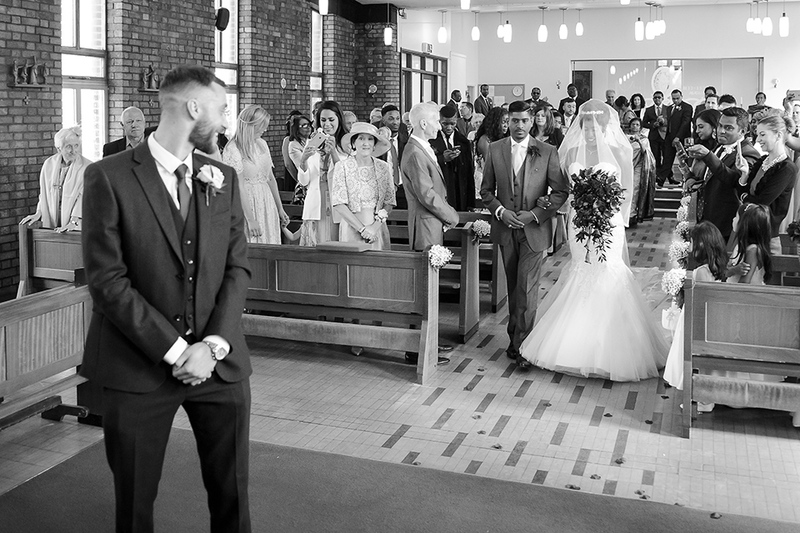 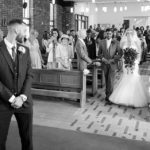 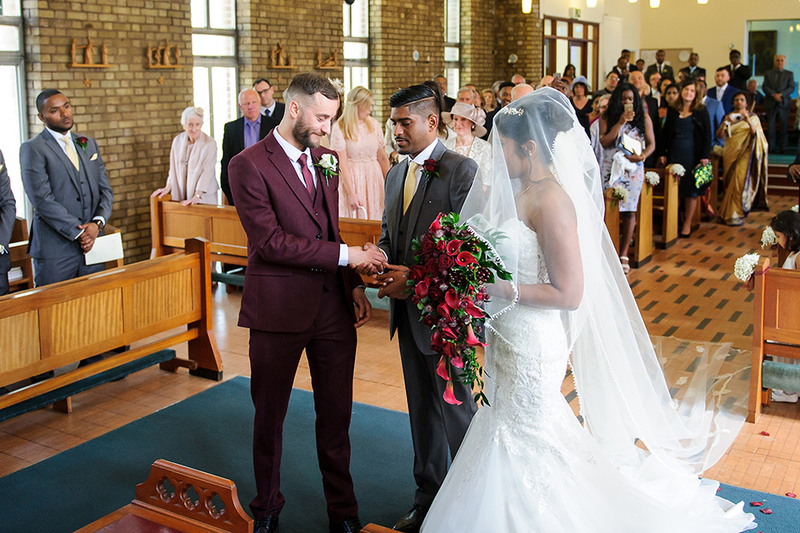 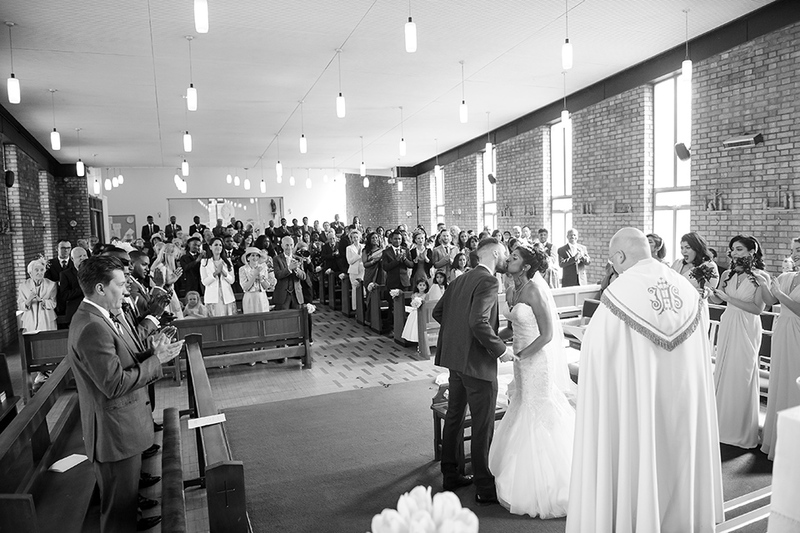 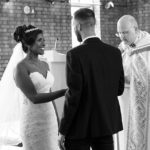 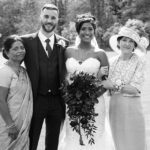 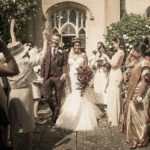 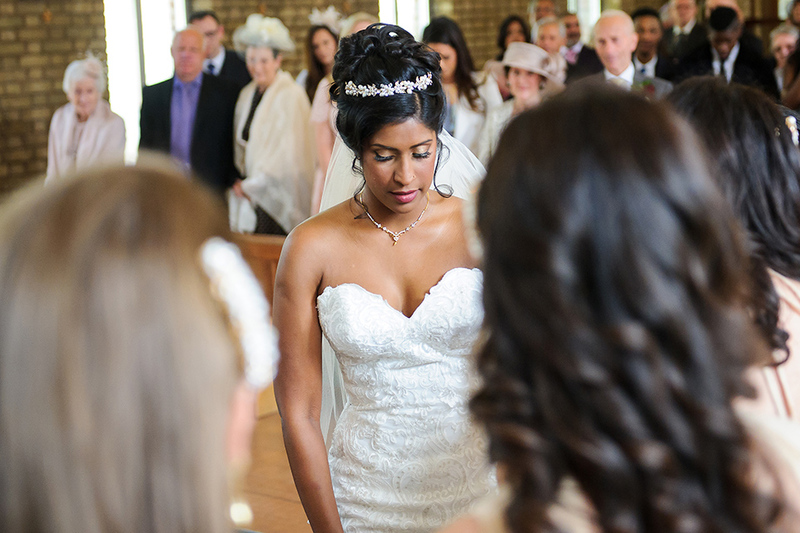 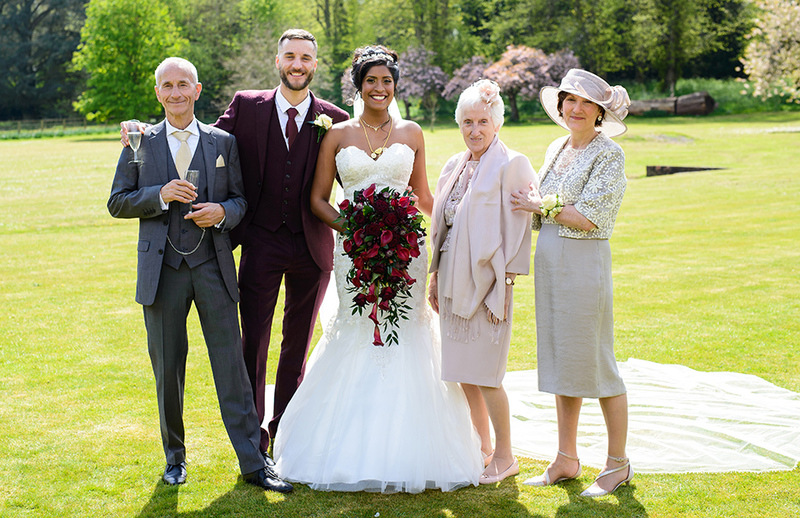 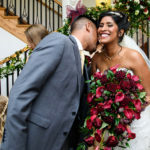 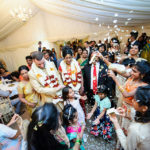 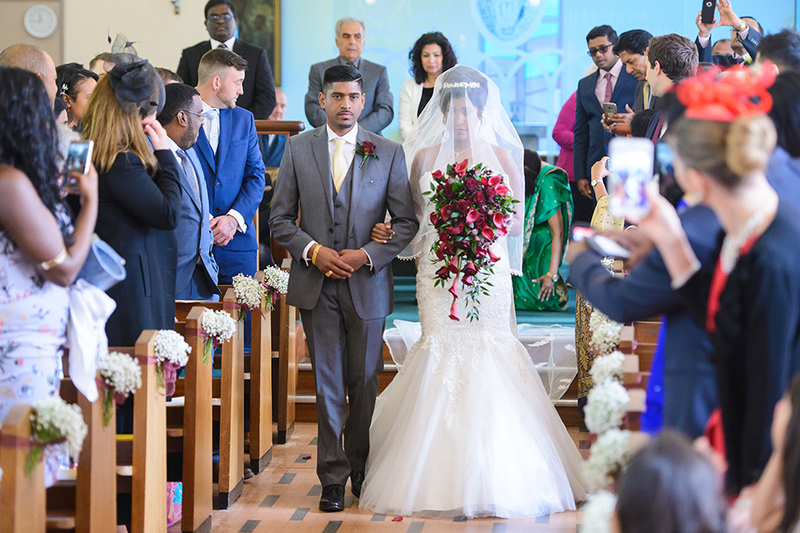 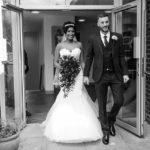 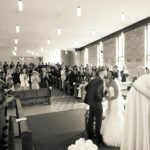 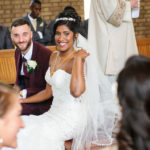 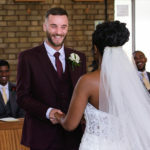 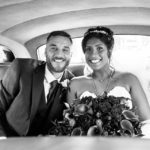 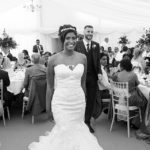 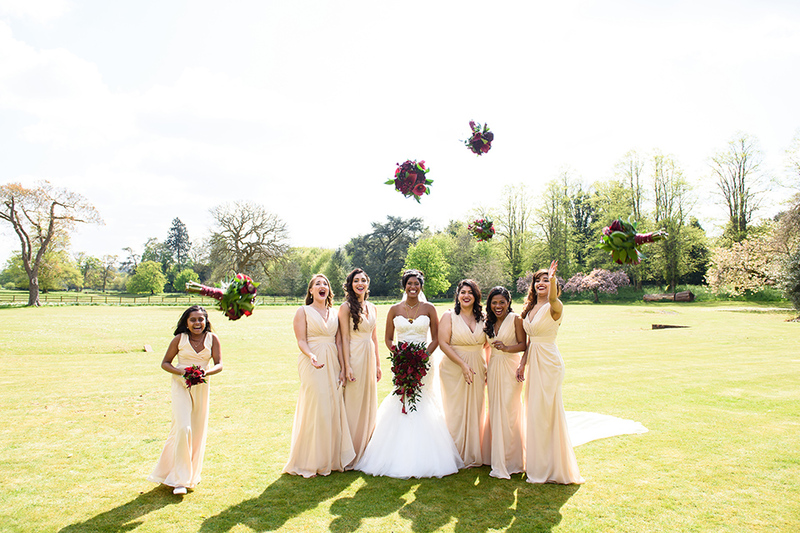 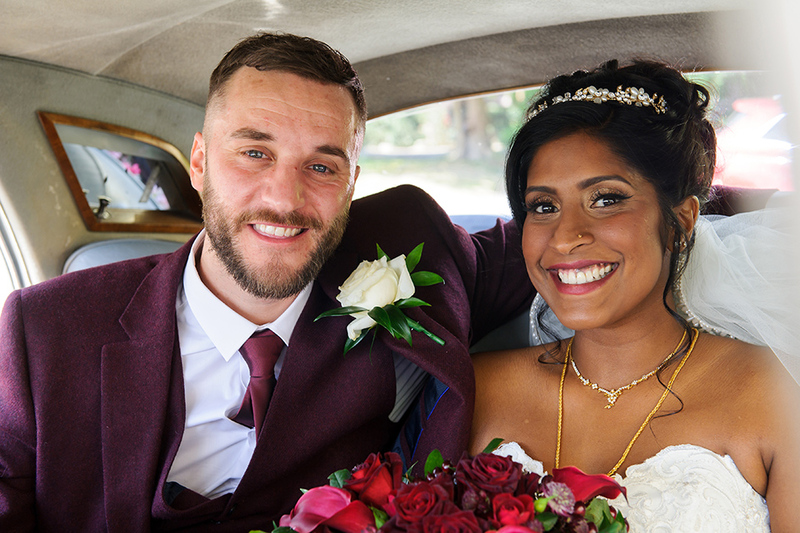 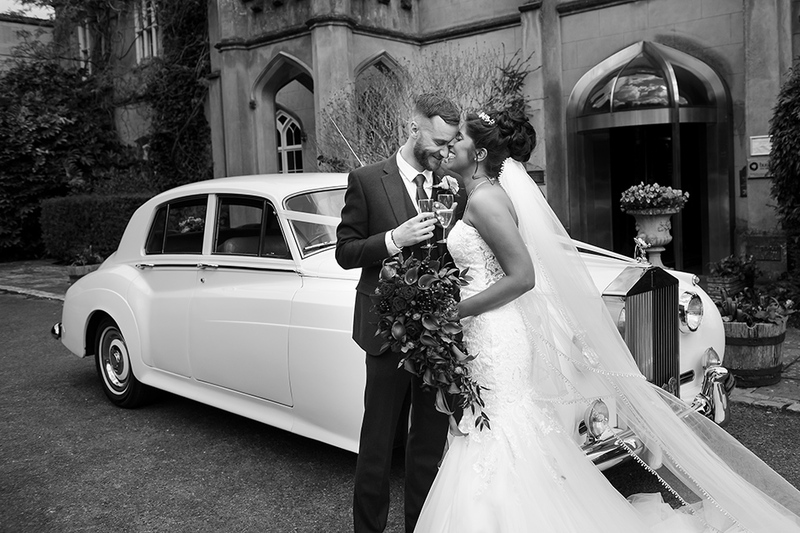 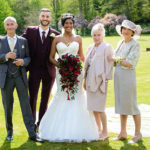 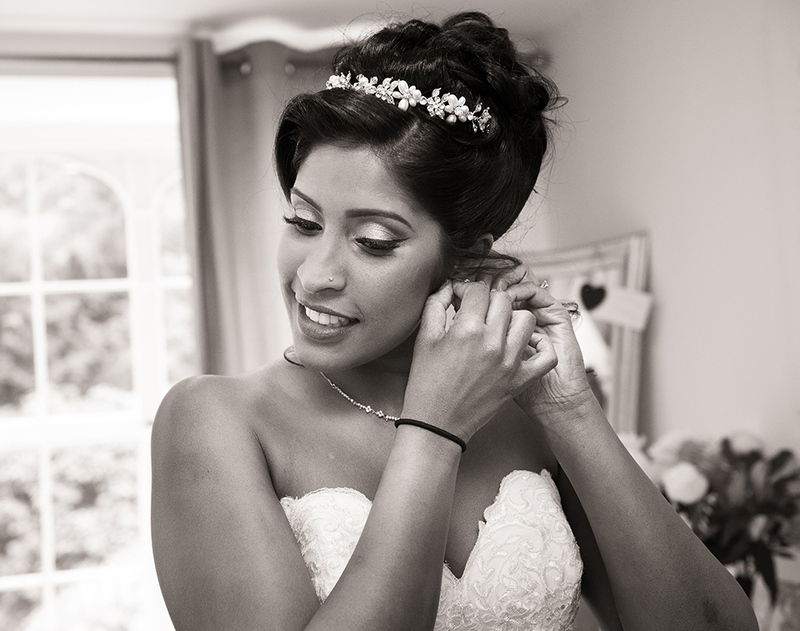 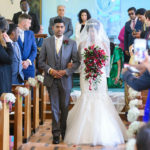 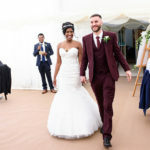 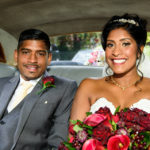 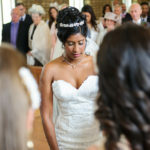 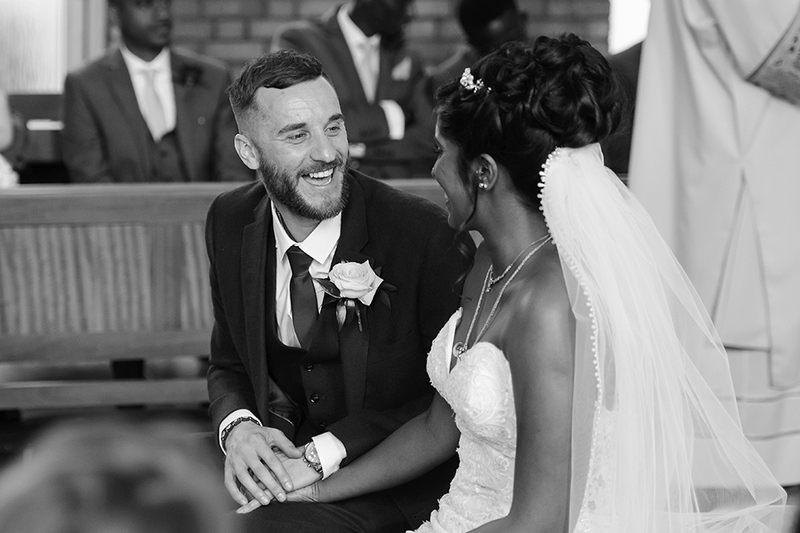 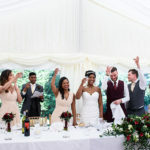 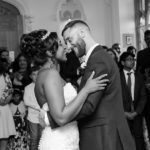 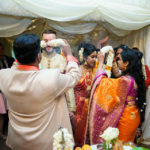 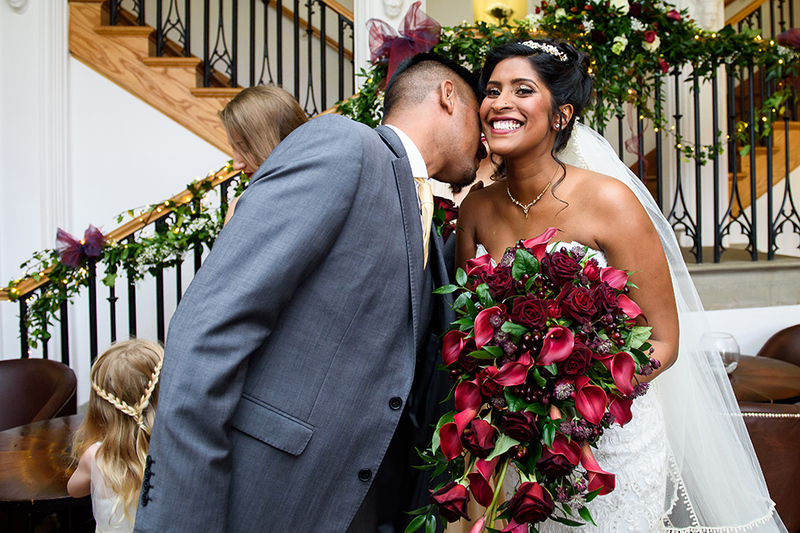 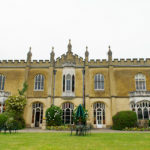 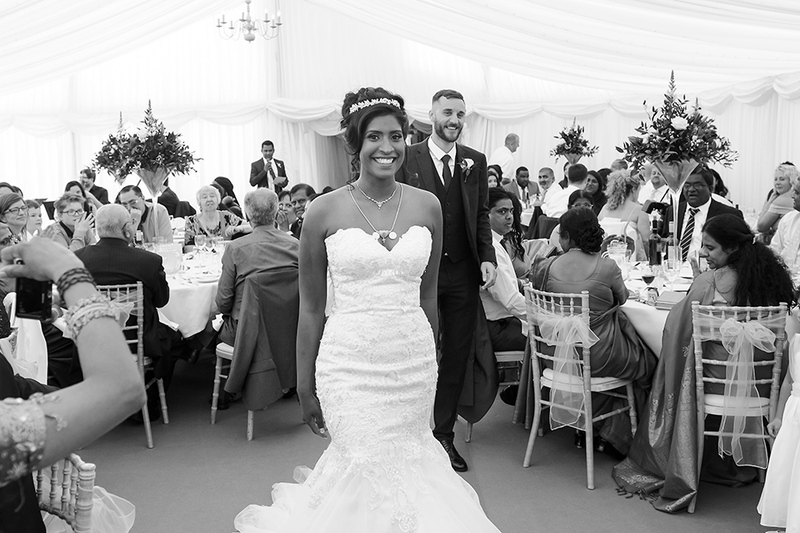 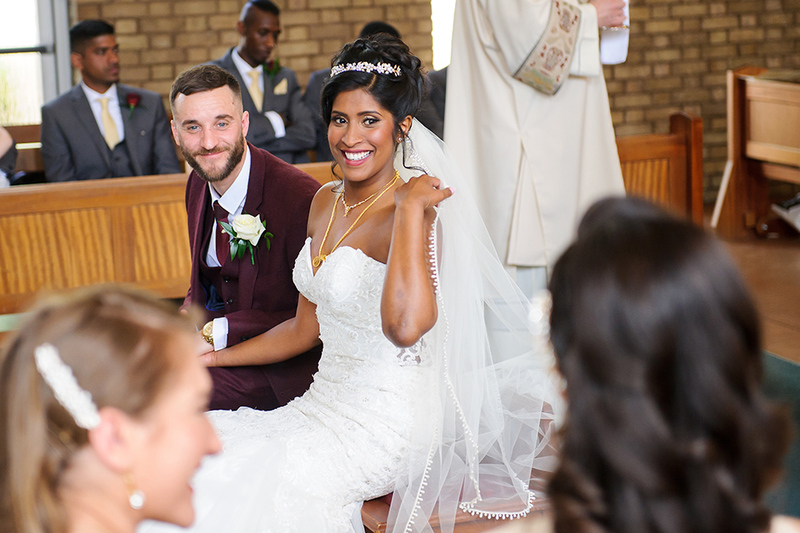 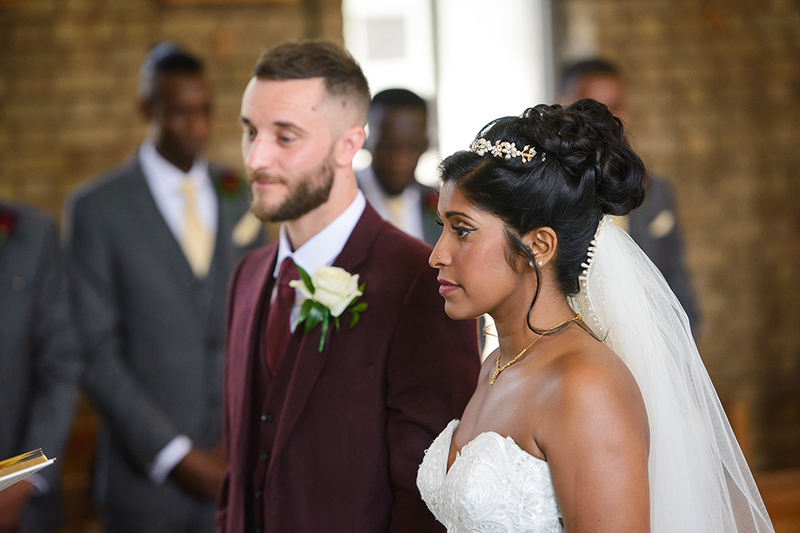 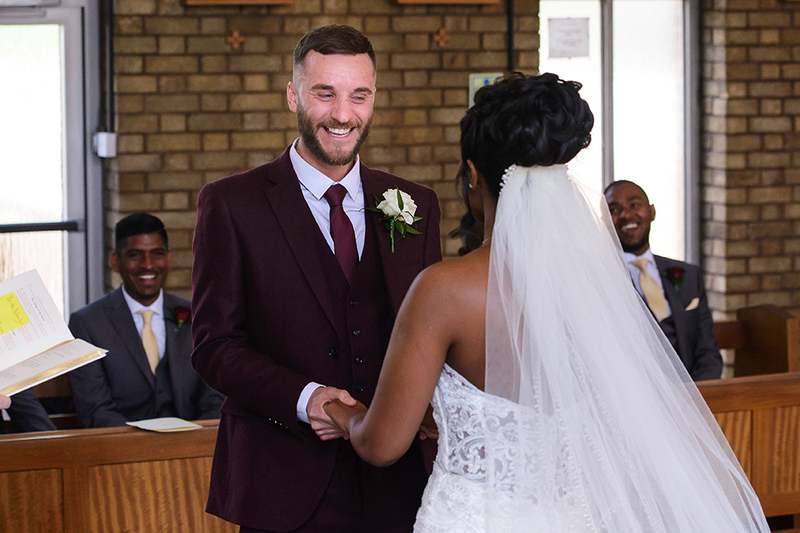 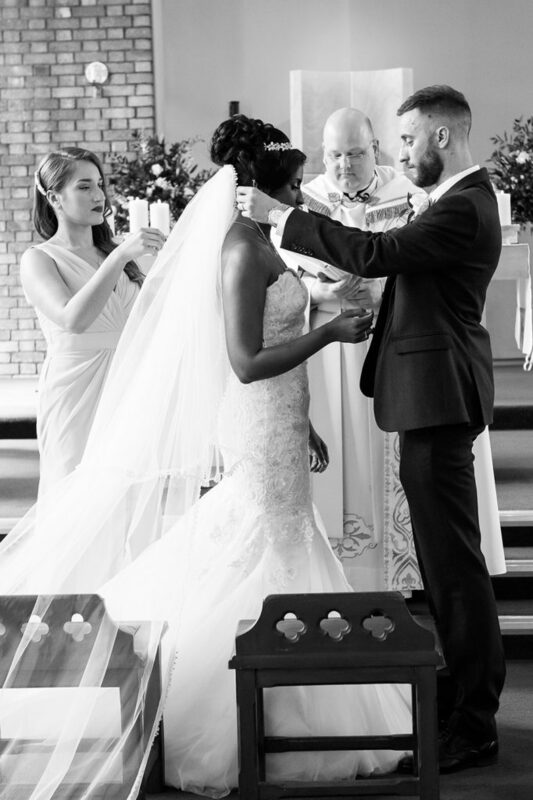 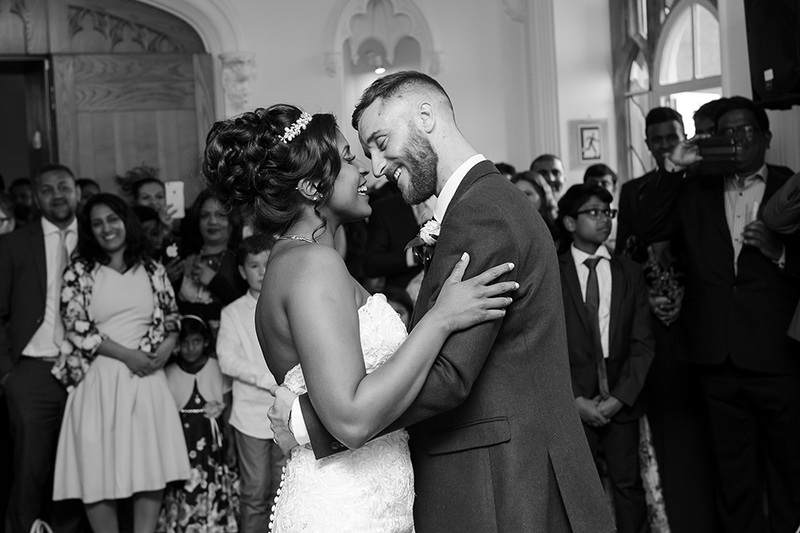 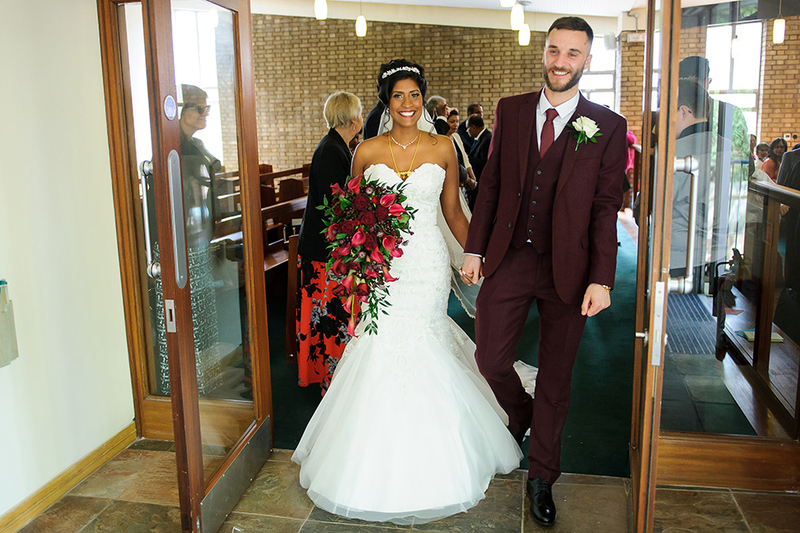 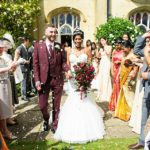 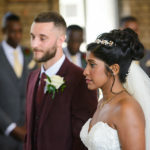 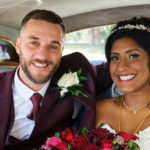 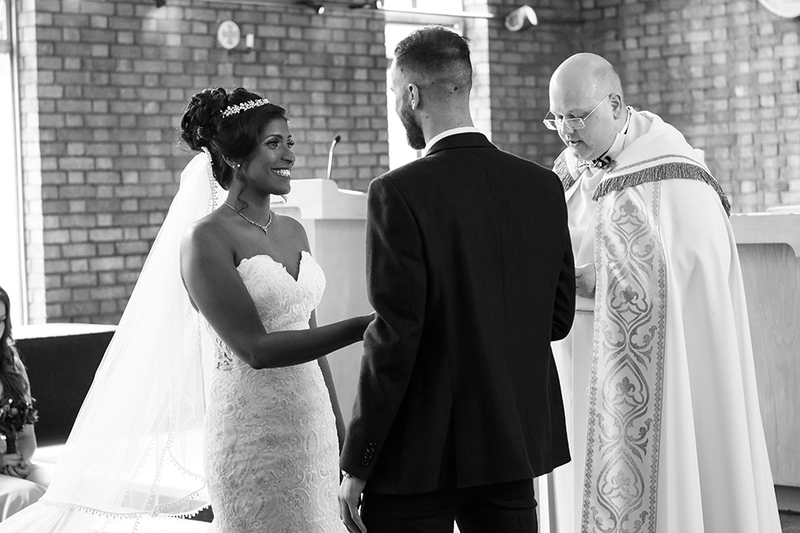 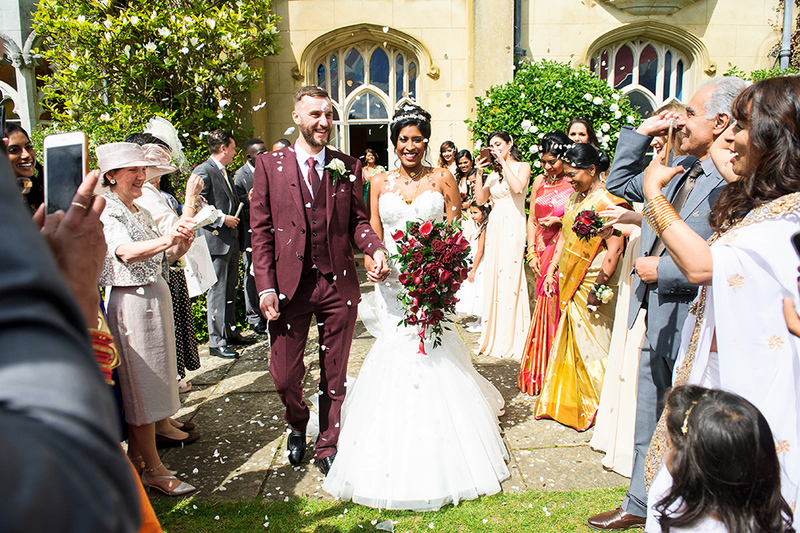 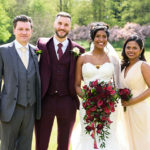 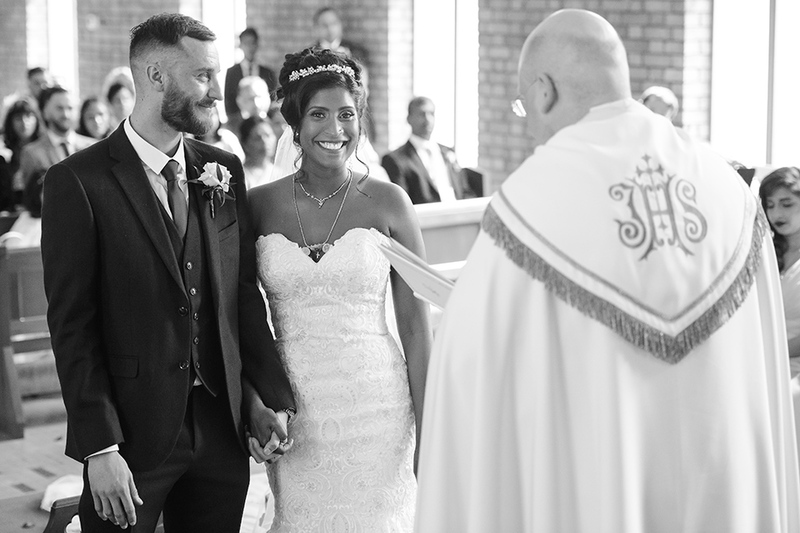 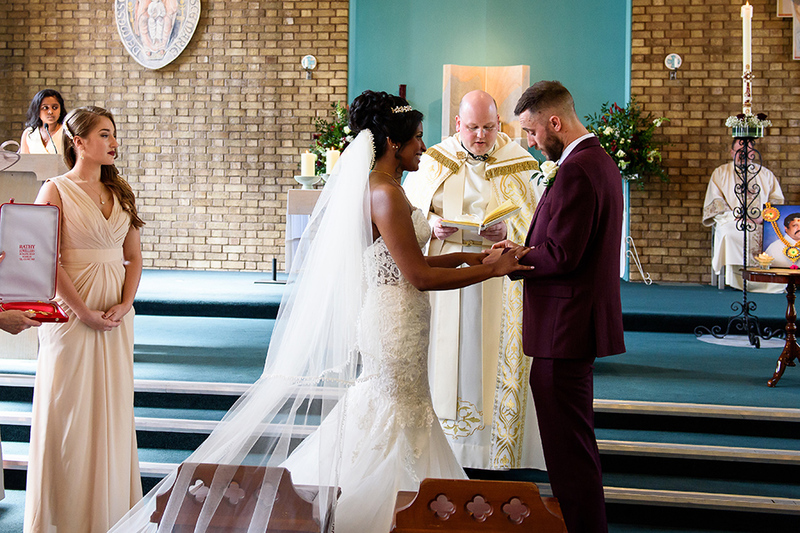 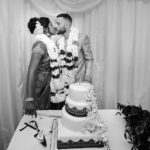 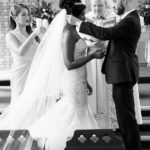 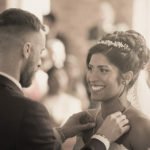 The moment we arrived at Missenden Abbey and I met Brinda in the morning of her wedding day, I knew I was about to witness an emotional and heart-warming day. 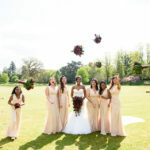 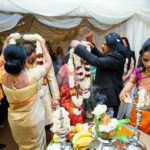 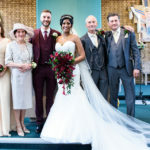 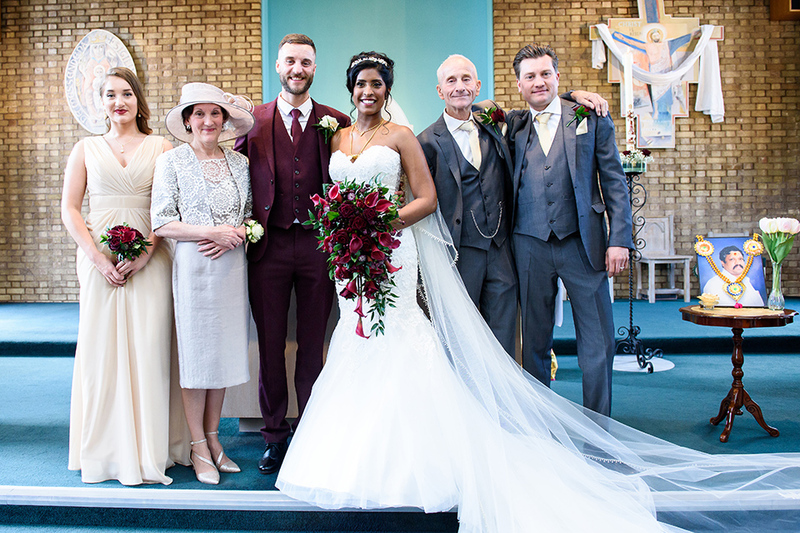 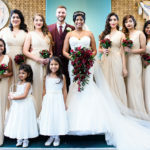 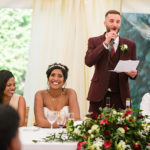 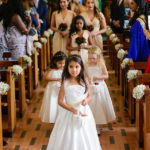 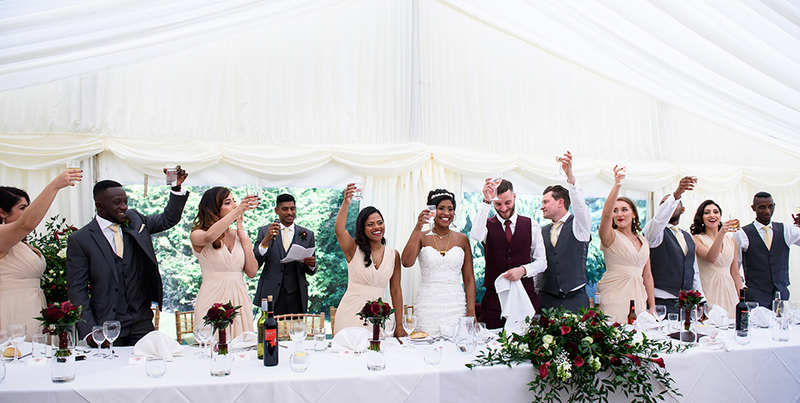 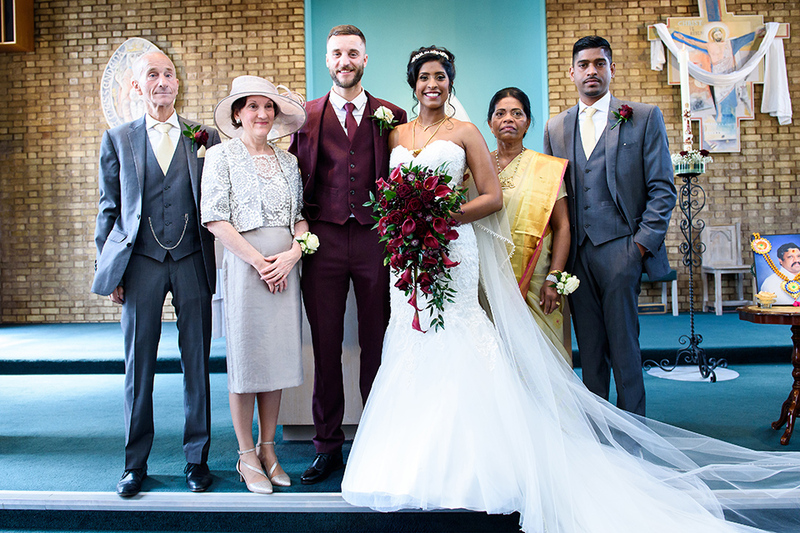 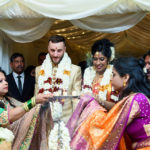 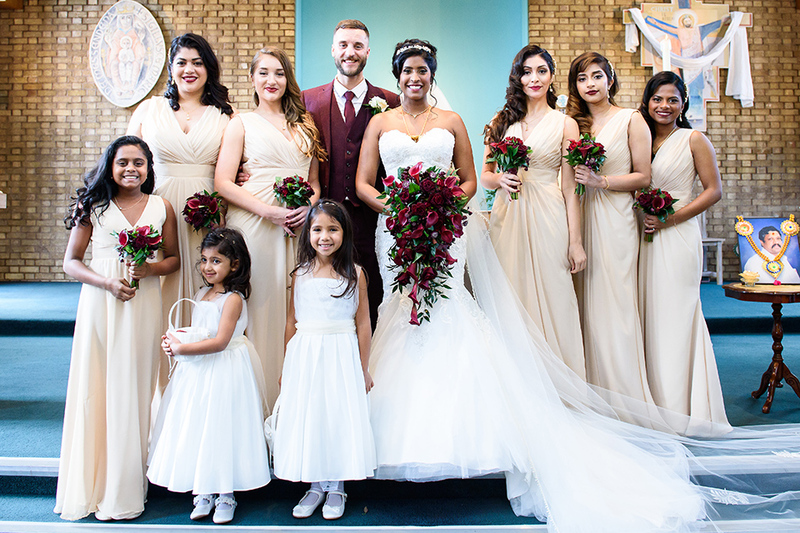 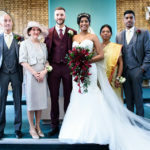 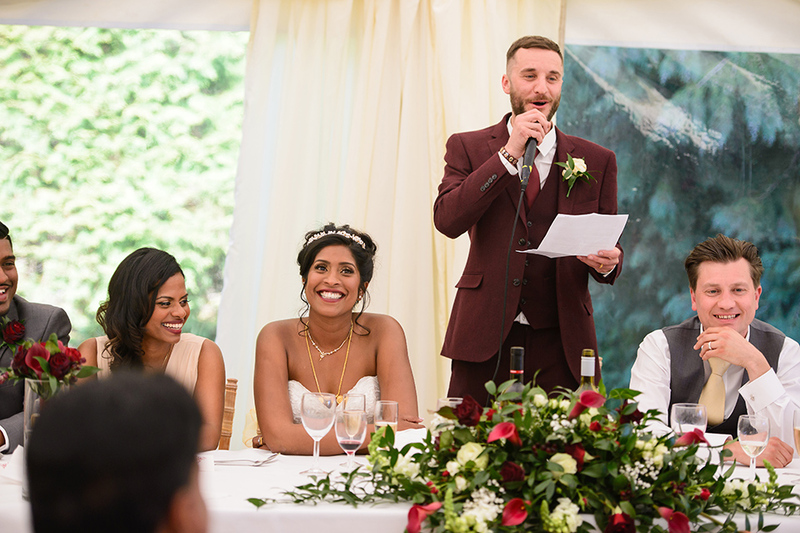 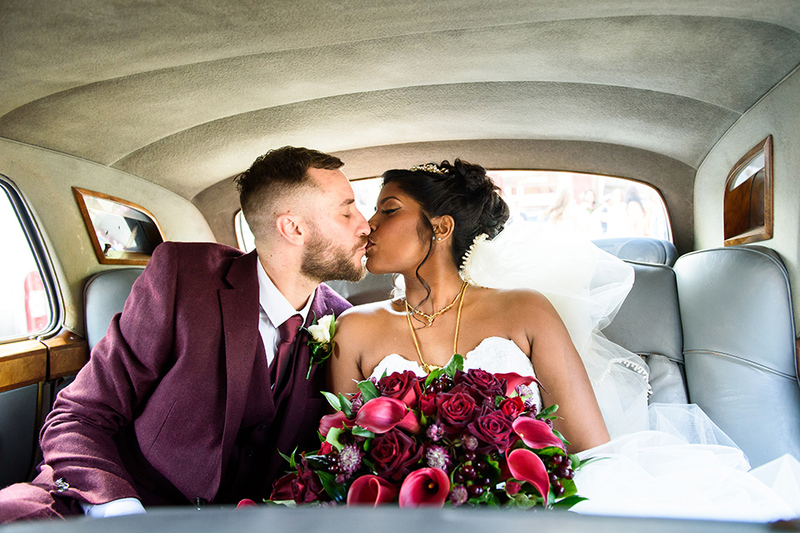 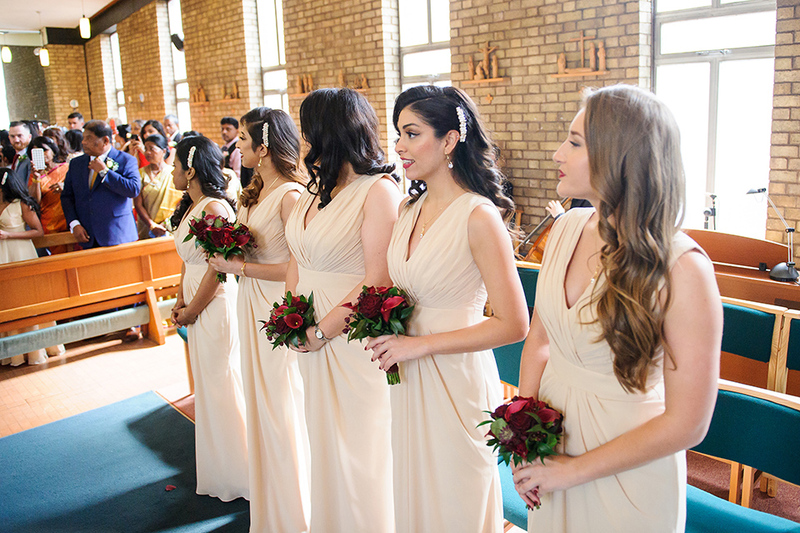 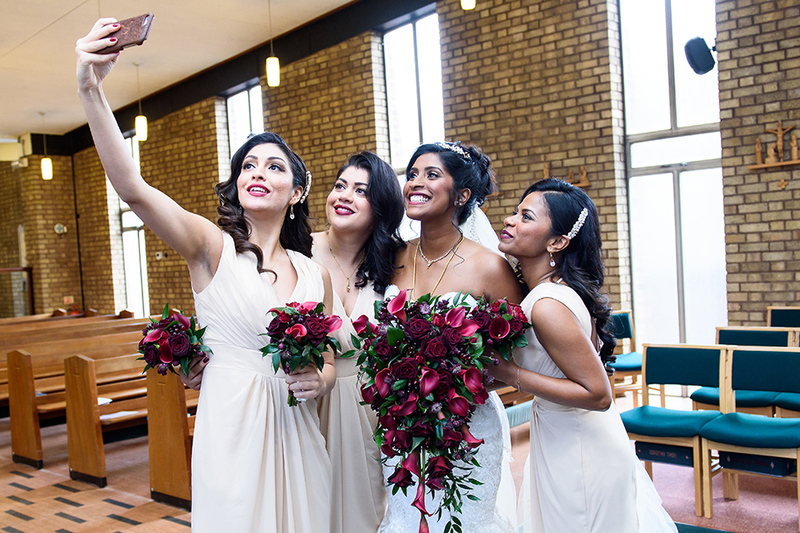 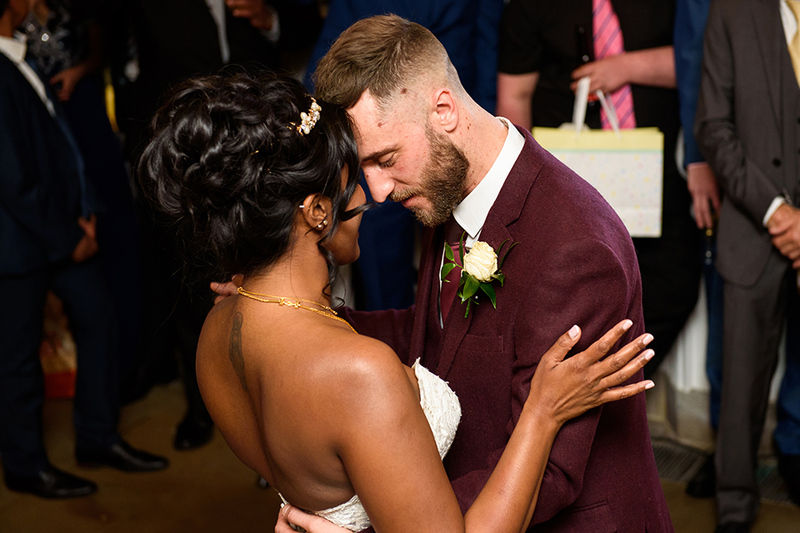 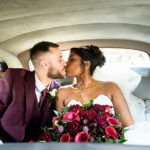 Surrounded by her family and bridesmaids, Brinda chose the have a relaxed attitude, which I would say it helped in order to make the day go smoother. 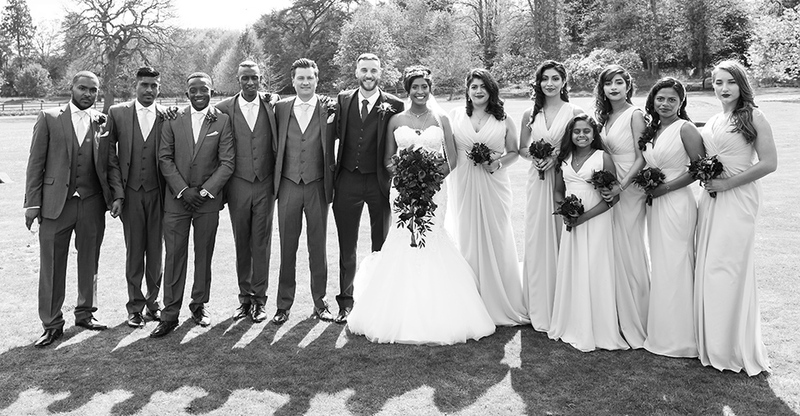 In this time George spent the morning with Kim and his ushers, and I’m sure they had lots of fun, even if he never tells. 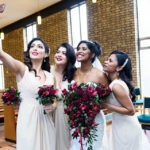 But, by looking at their photos now, I’m certain they had great time. 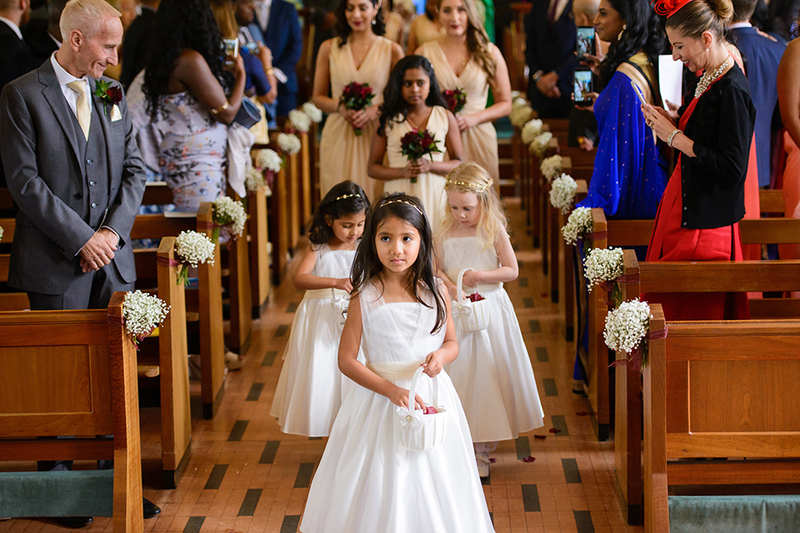 The religious ceremony took place at The Immaculate Heart of Mary and after that we went back to Missenden Abbey for the rest of the day. 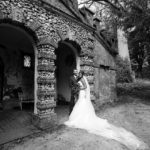 Being a wedding photographer in London gives us the opportunity to see lots of amazing venues and Missenden Abbey was one of them. 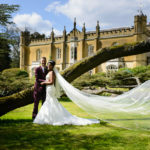 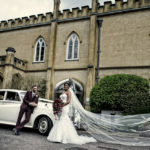 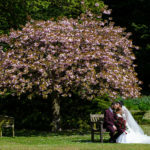 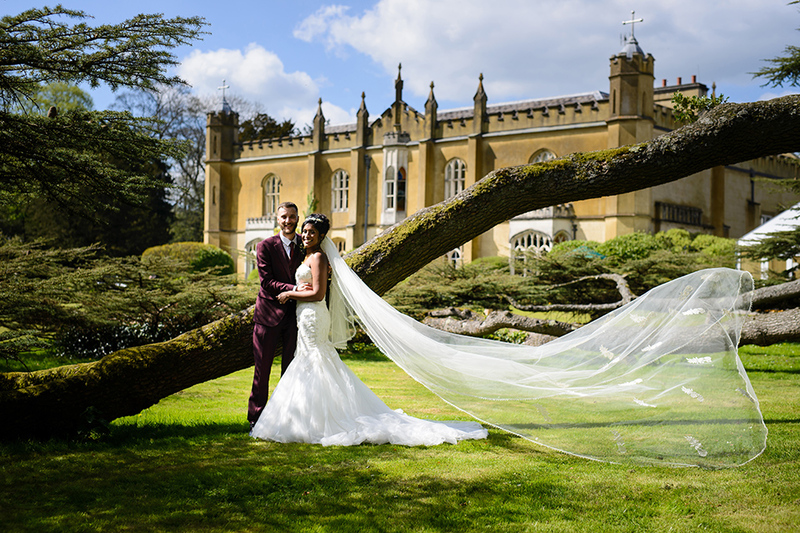 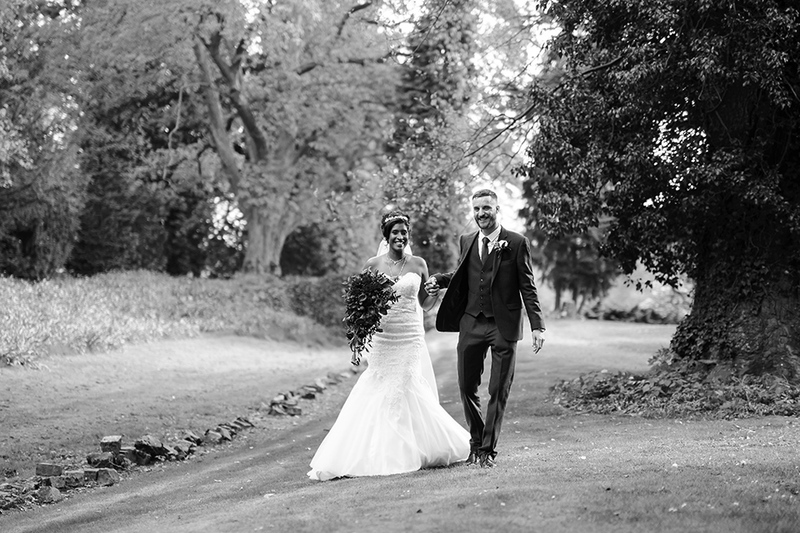 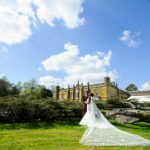 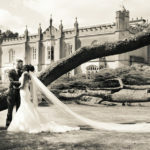 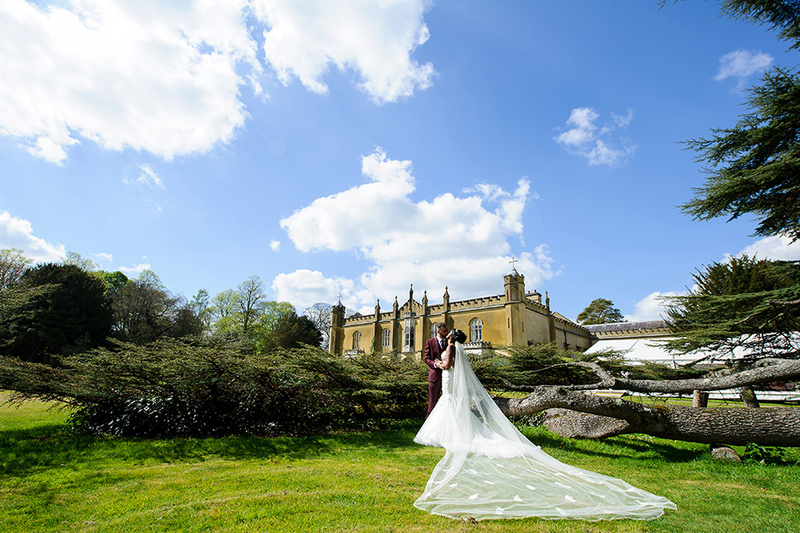 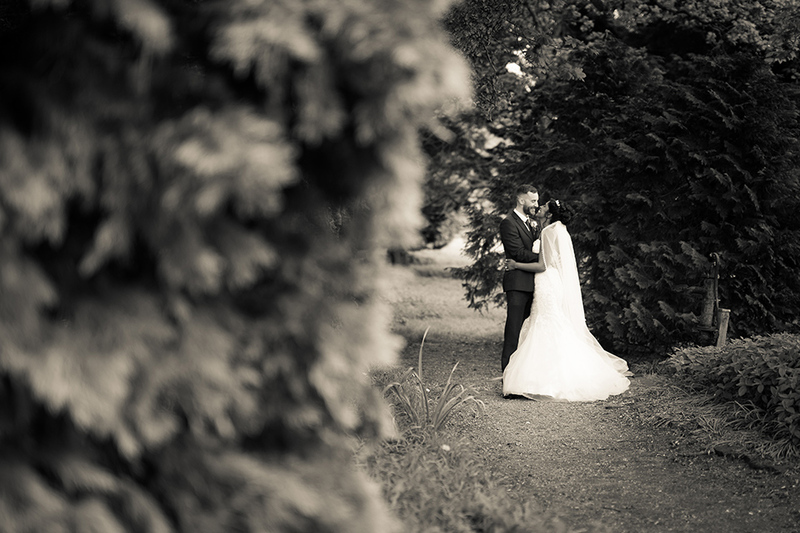 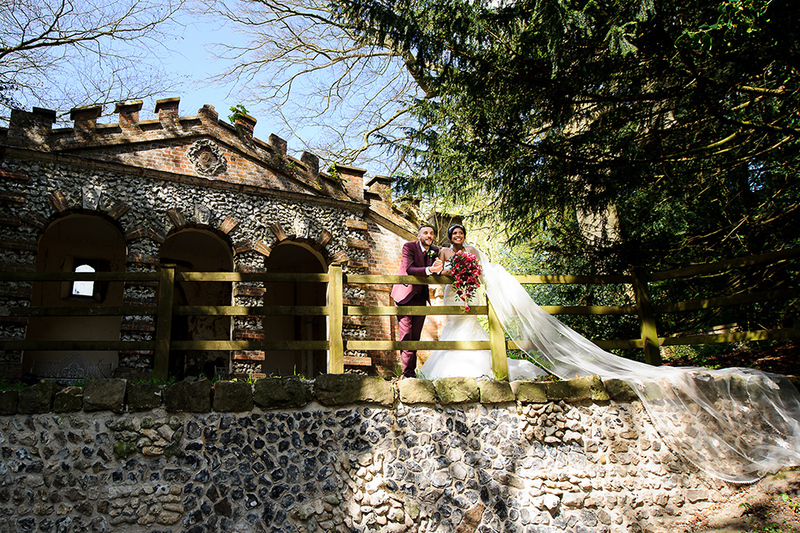 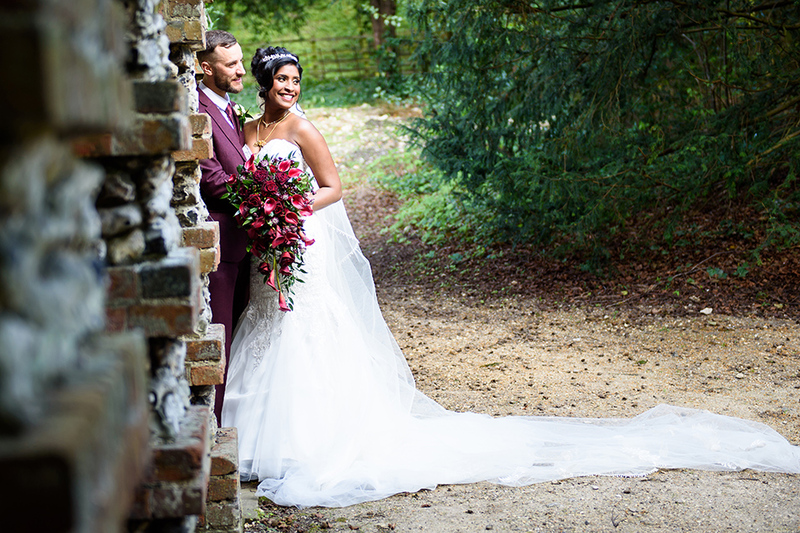 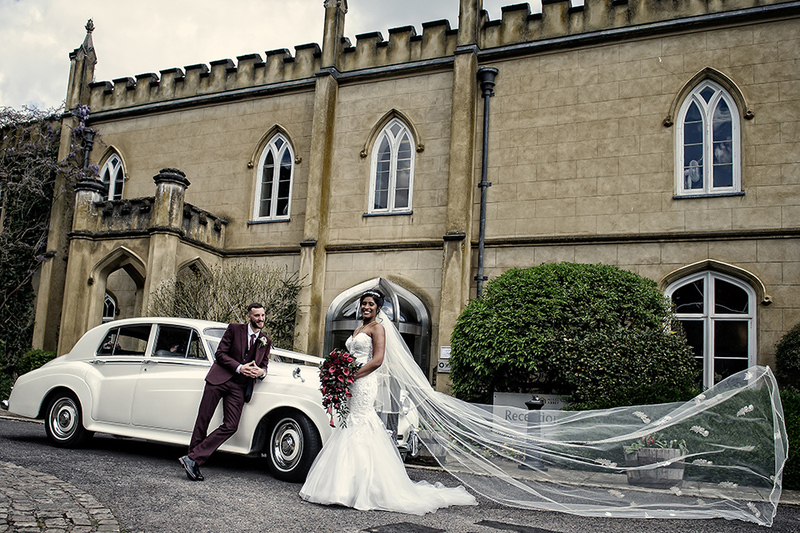 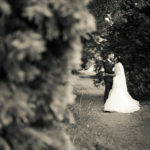 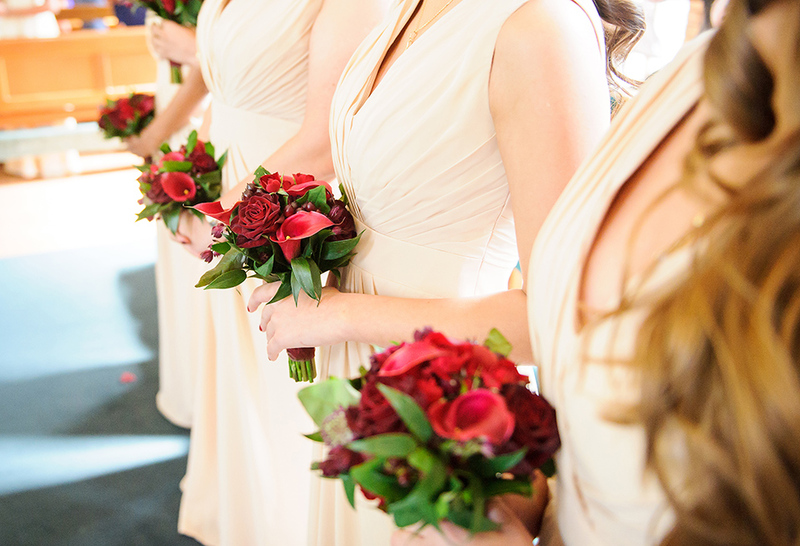 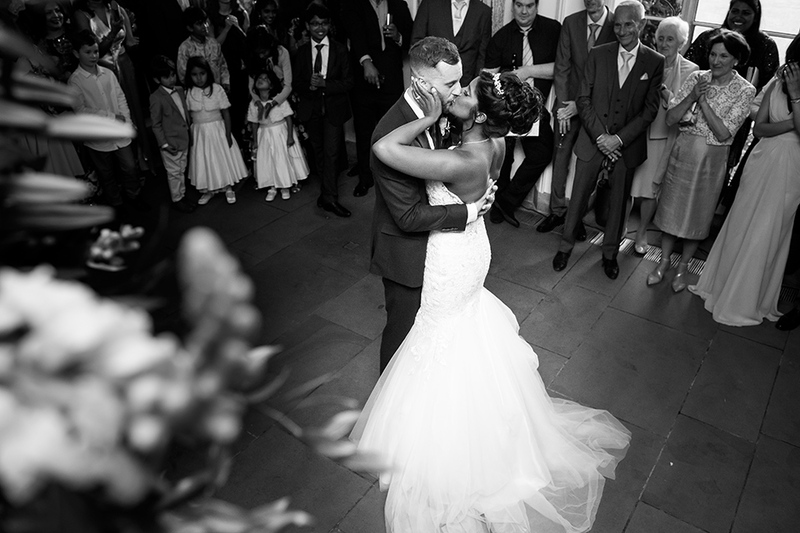 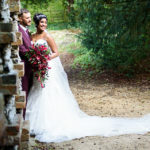 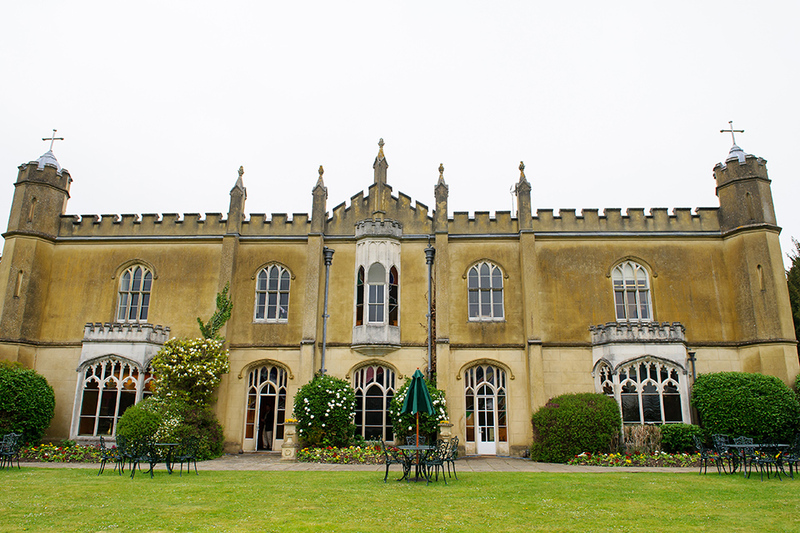 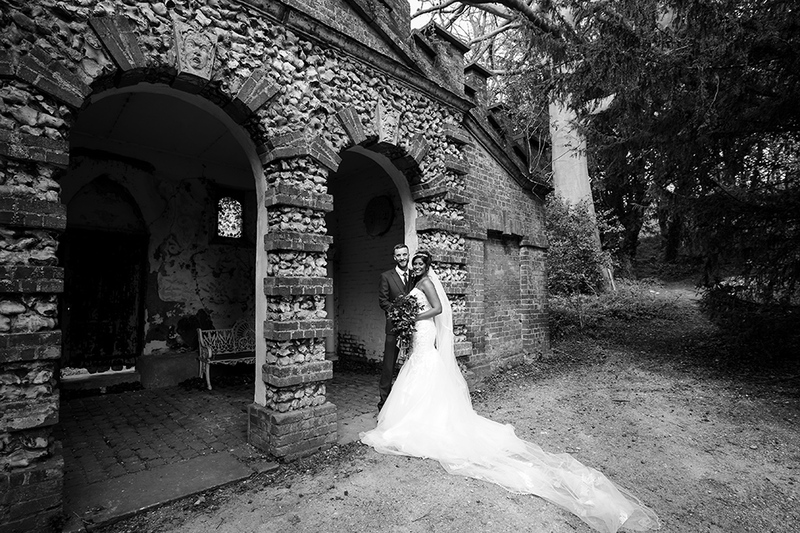 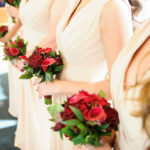 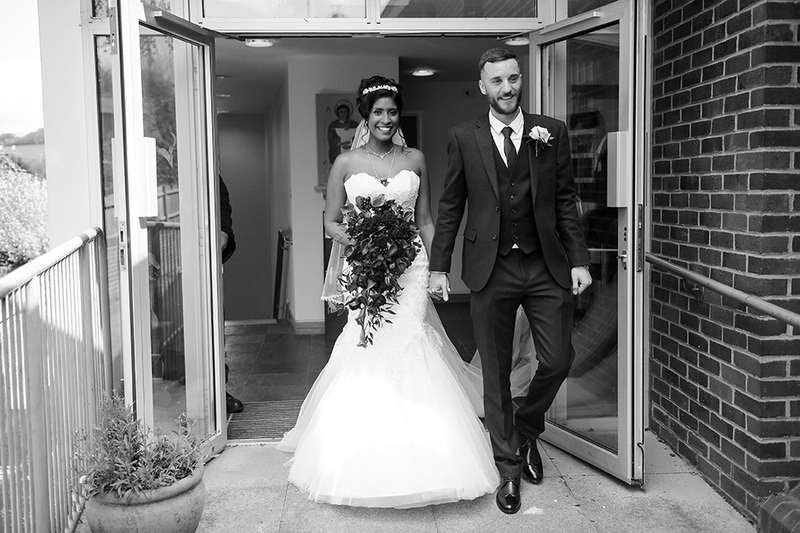 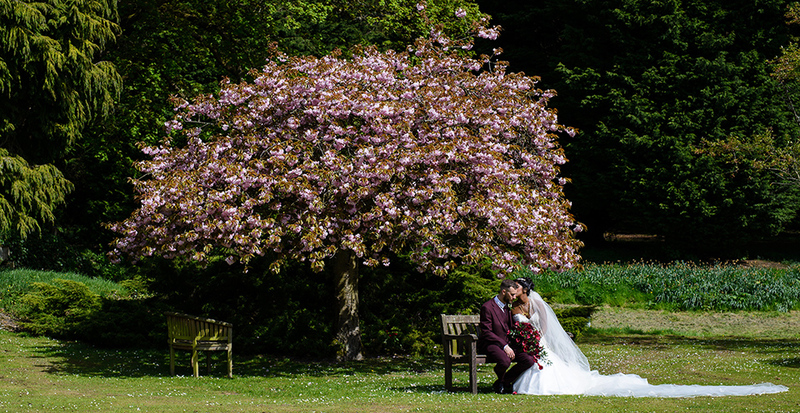 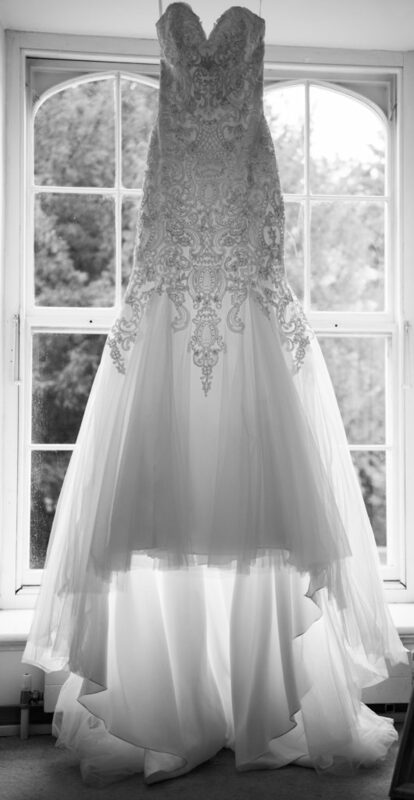 With incredible gardens and dramatic landscape, Missenden Abbey provided a stunning scenery for wedding photography. 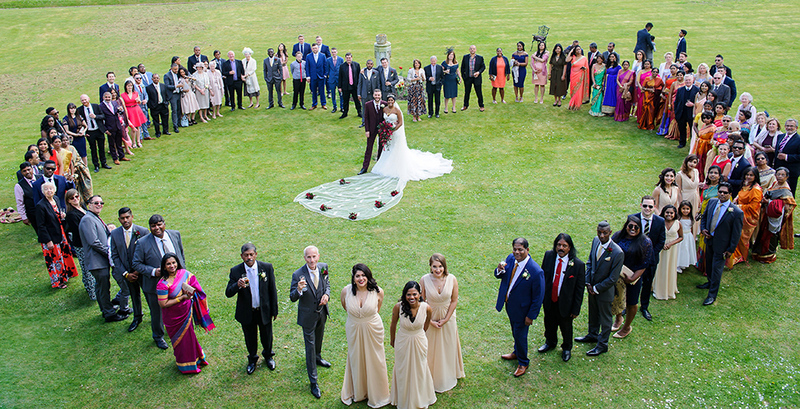 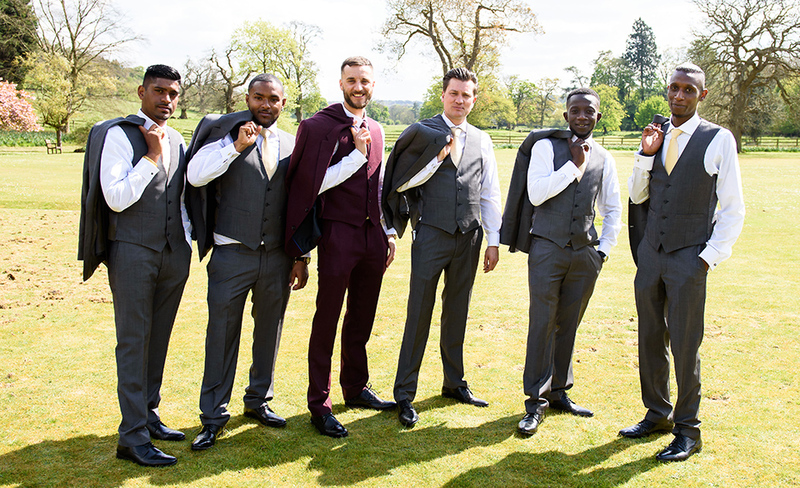 After we’ve done some formal photos with the Brinda and Kim’s family and the bridal party, we carried on with a small photo session for the newlyweds. 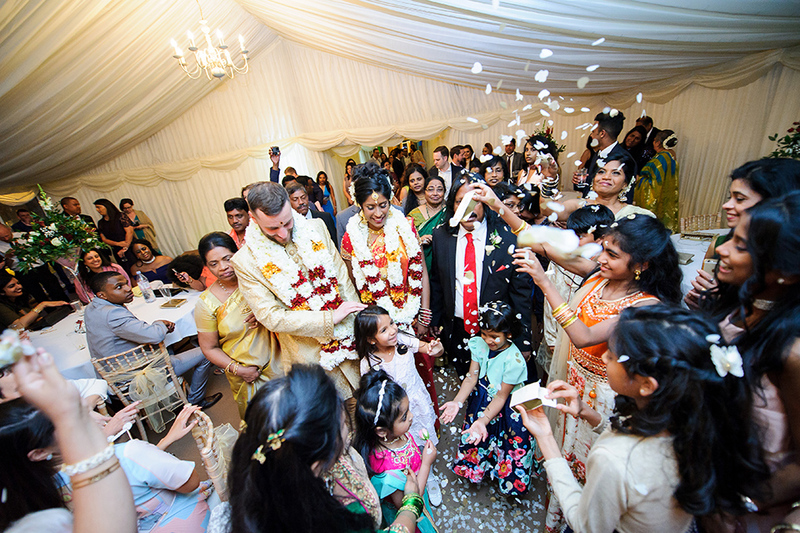 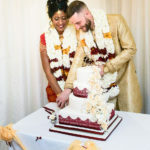 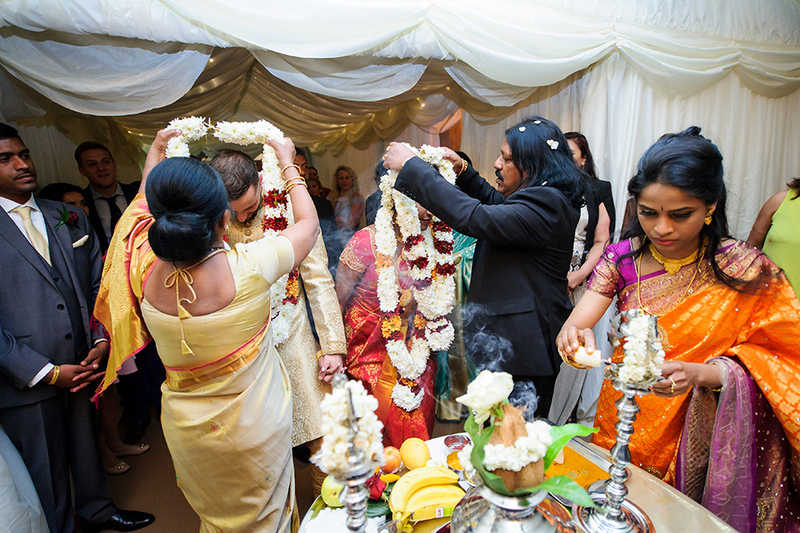 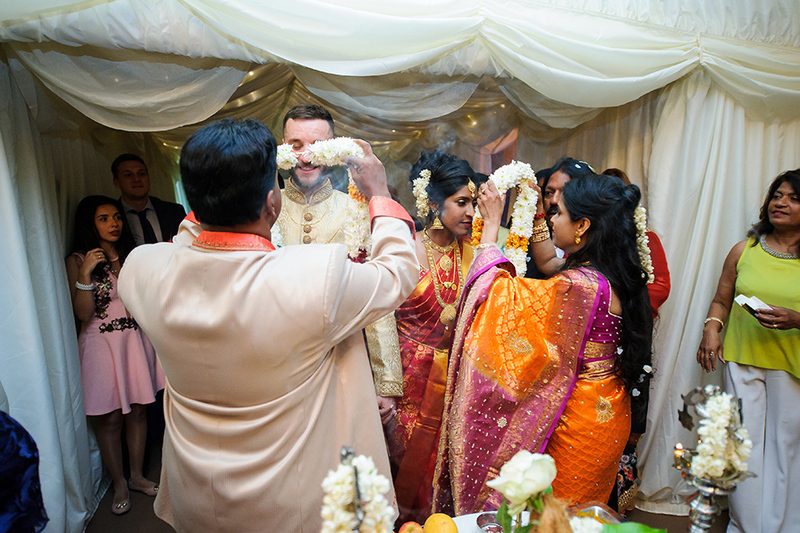 The wedding breakfast followed and then Brinda and Kim changed their outfits for a traditional Indian ceremony. 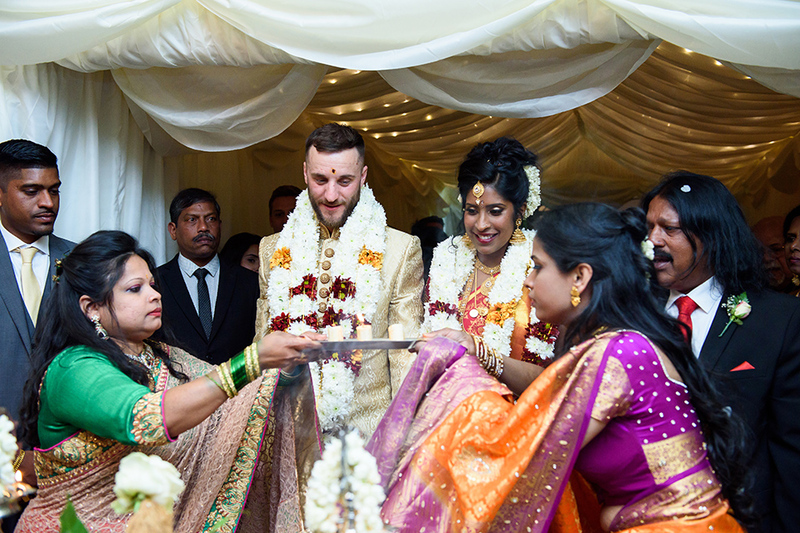 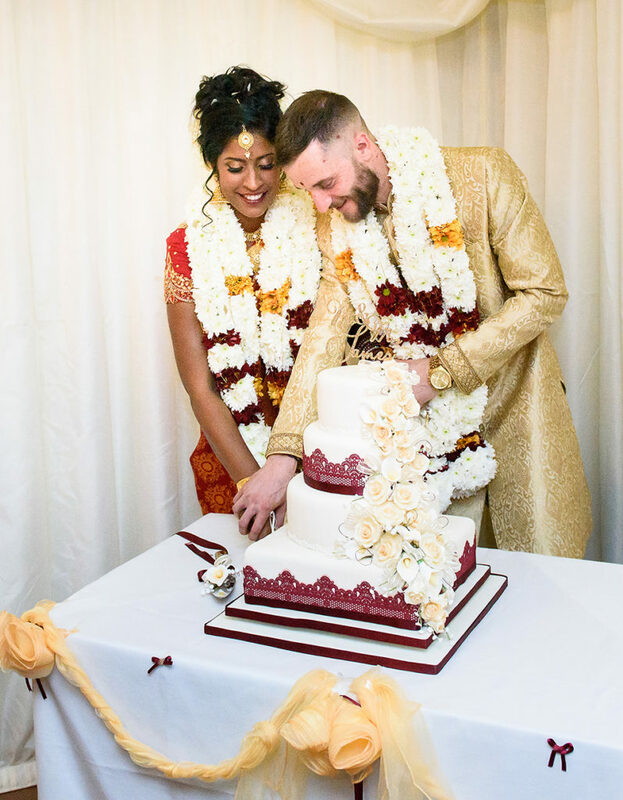 Combining both of Brinda and Kim’s heritage in a perfect fusion resulted in a wonderful day of celebration. 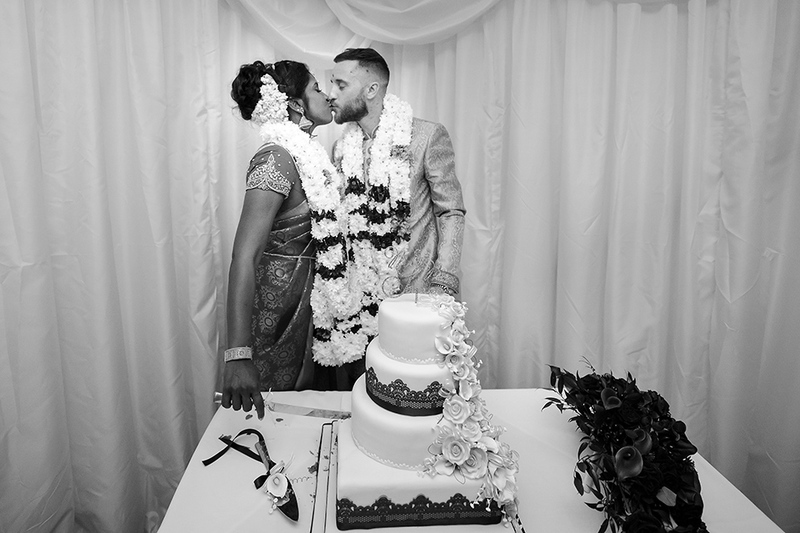 Our open space photo booth was a great addition to Brinda and Kim amazing day. 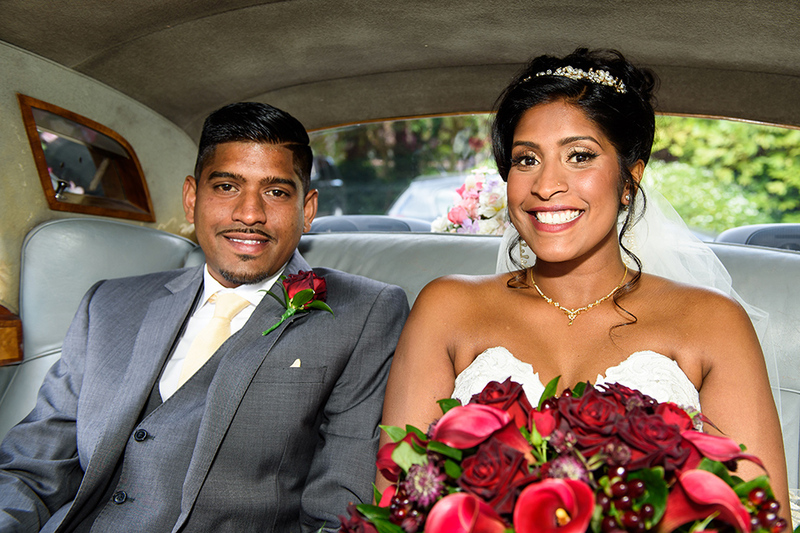 Brinda and Kim, it was a pleasure to be with you on your wedding day, thank you again for having us. 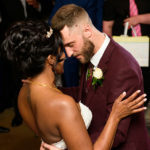 Congratulations again and We wish you a lifetime of happiness together. 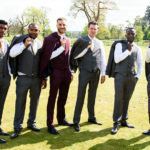 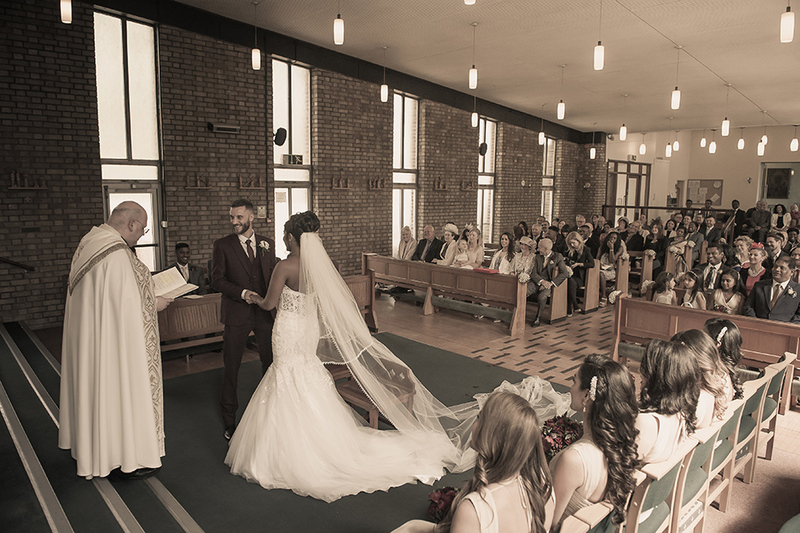 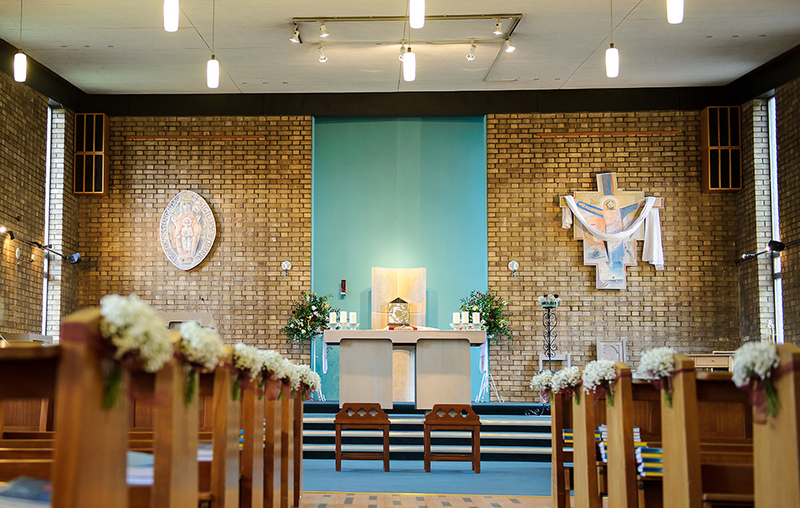 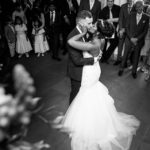 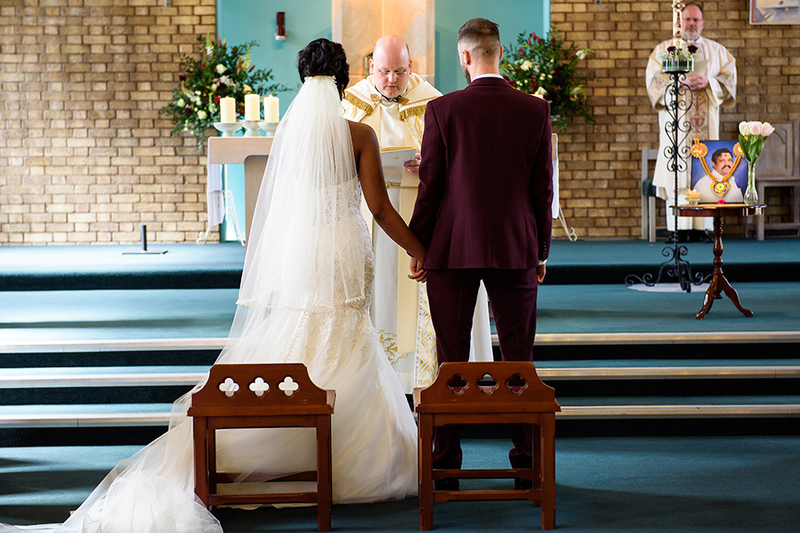 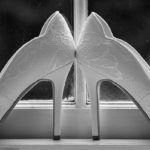 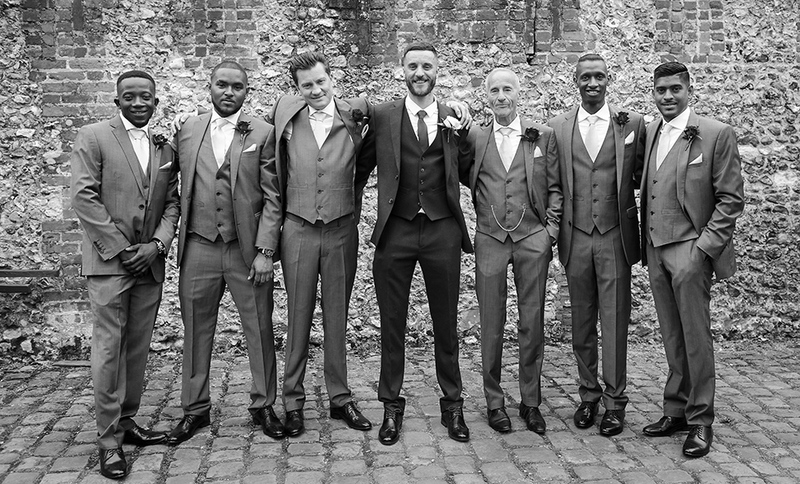 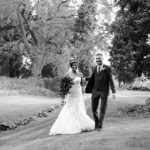 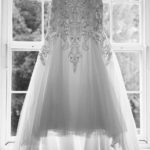 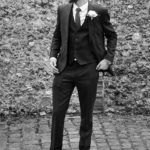 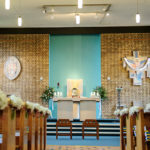 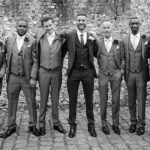 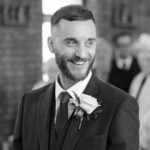 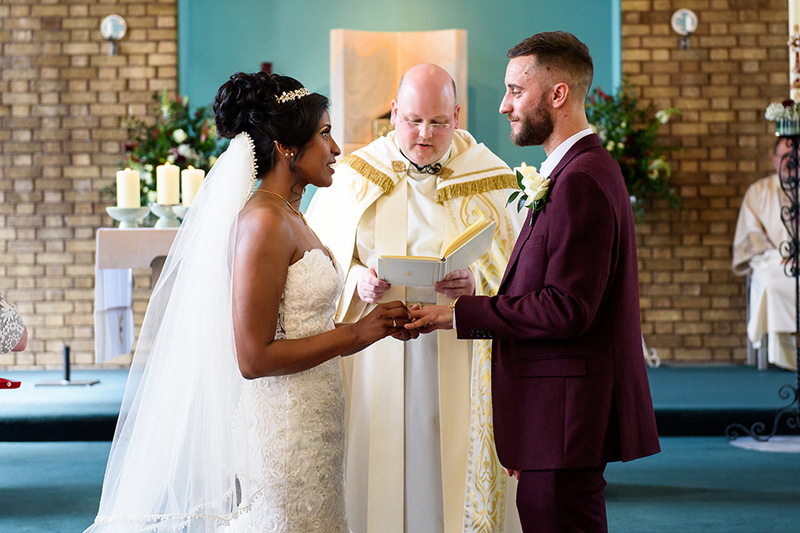 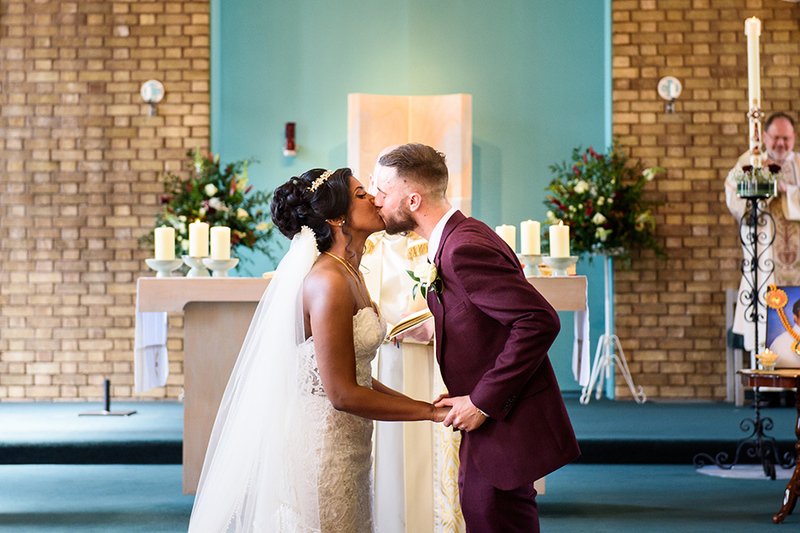 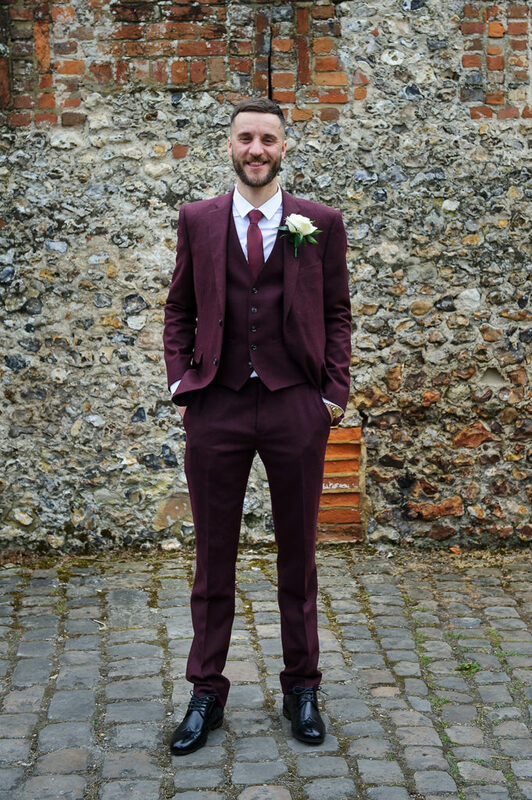 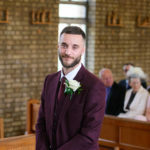 If you are looking for a Missenden Abbey Wedding Photographer or if you are planning a Missenden Abbey Wedding, please get in touch, we can help!